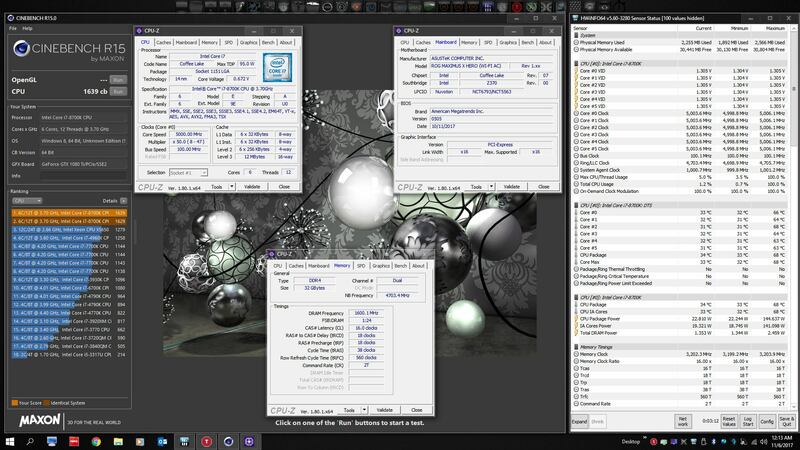 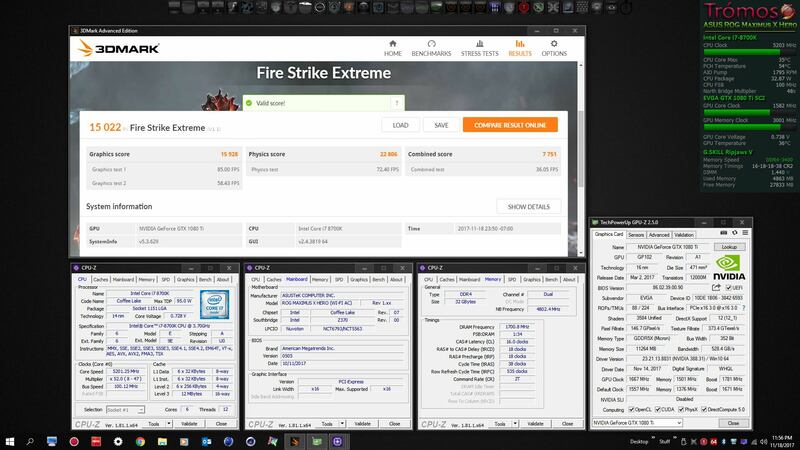 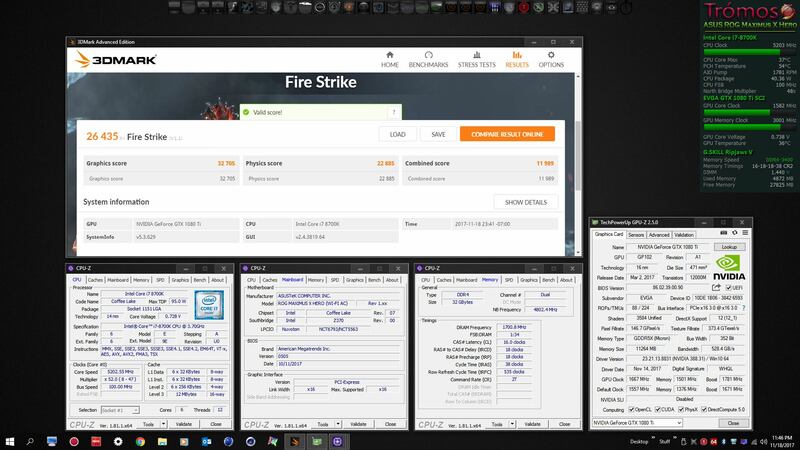 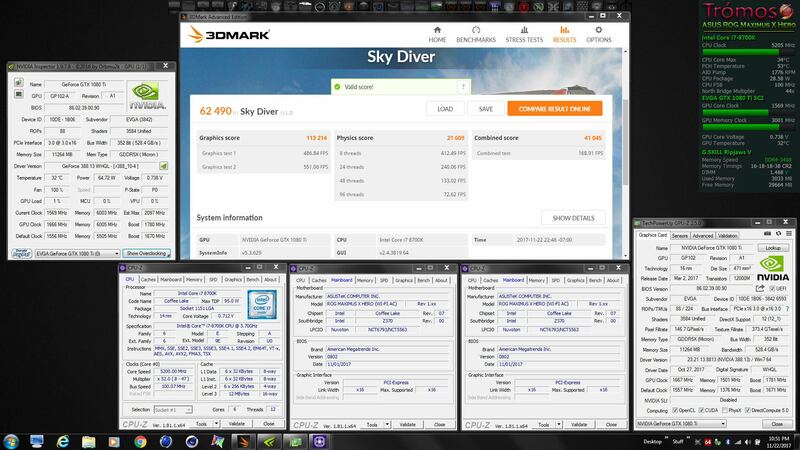 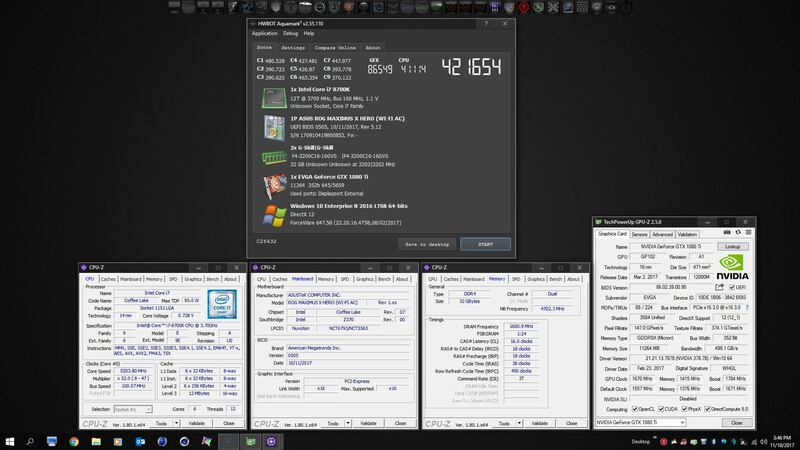 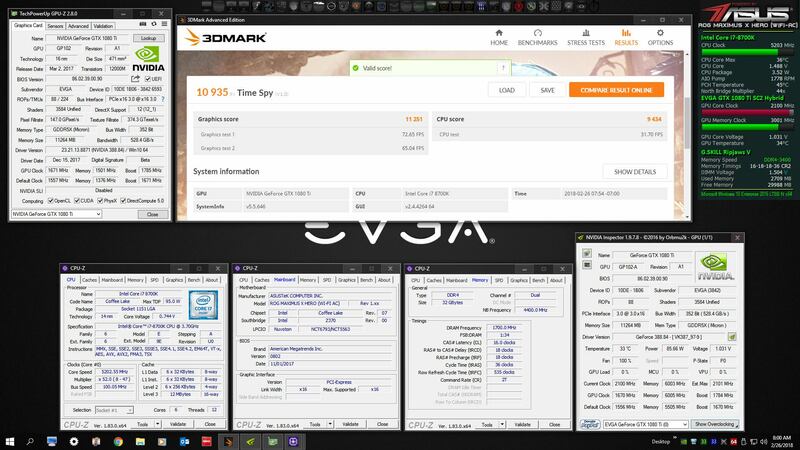 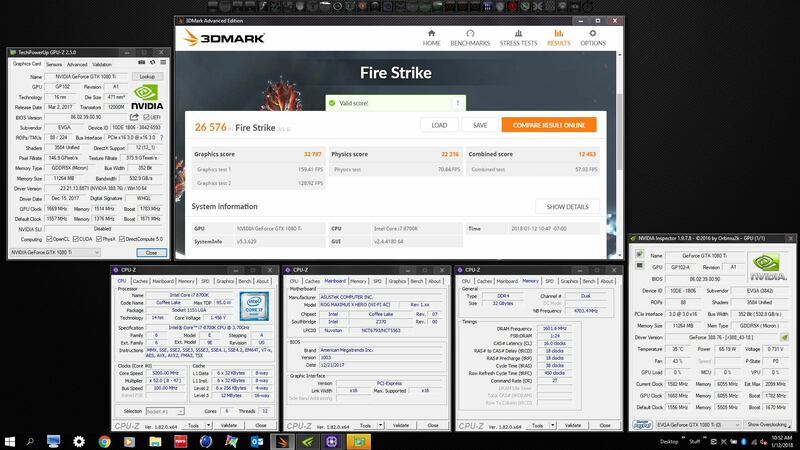 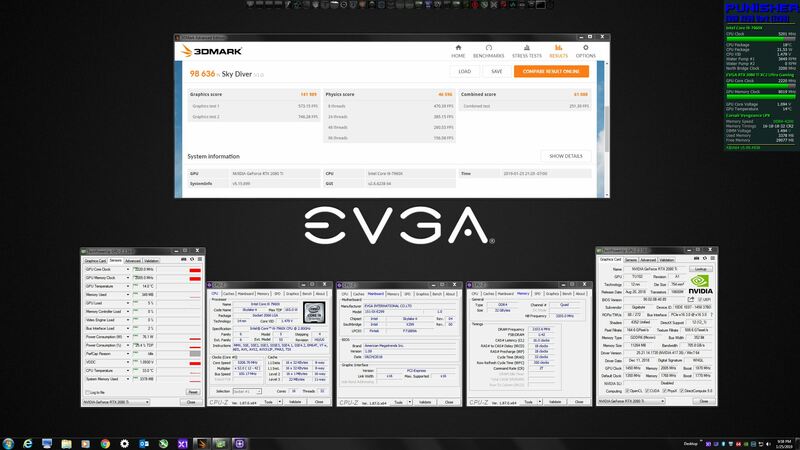 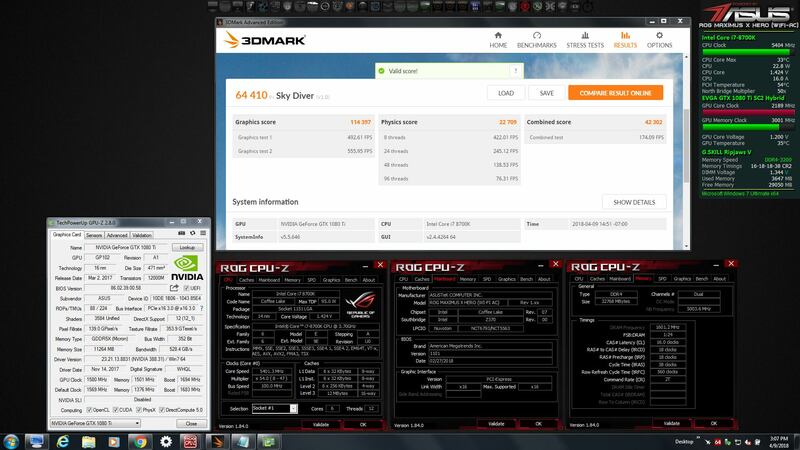 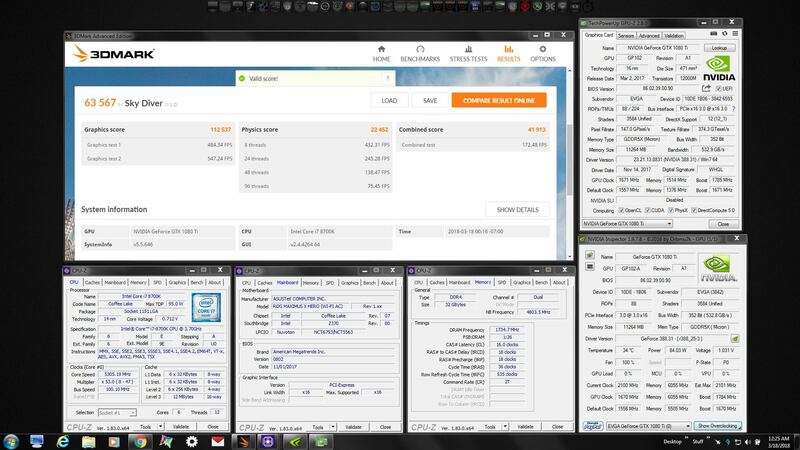 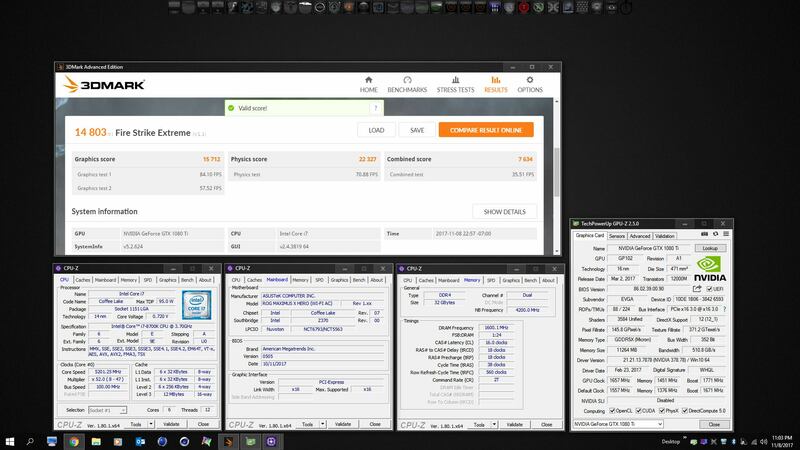 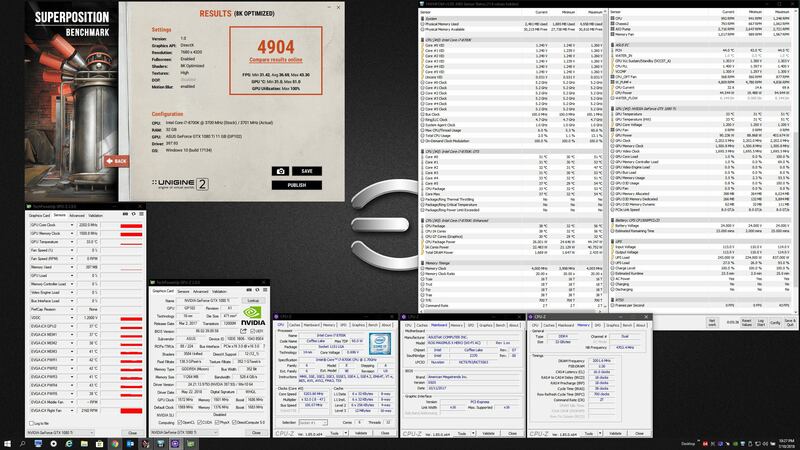 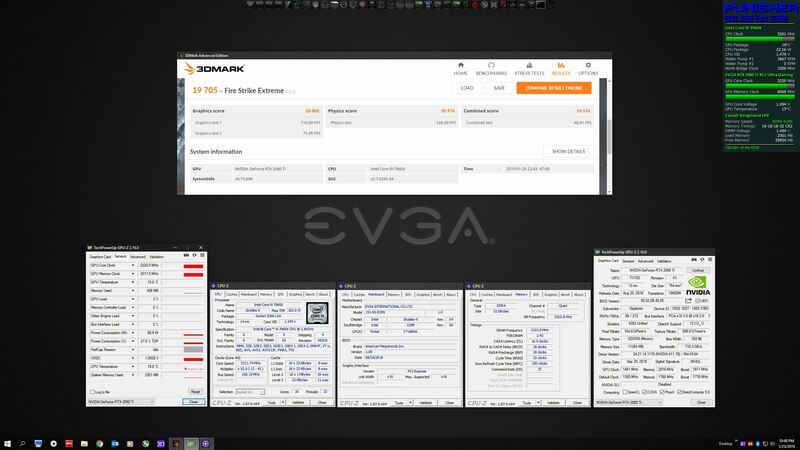 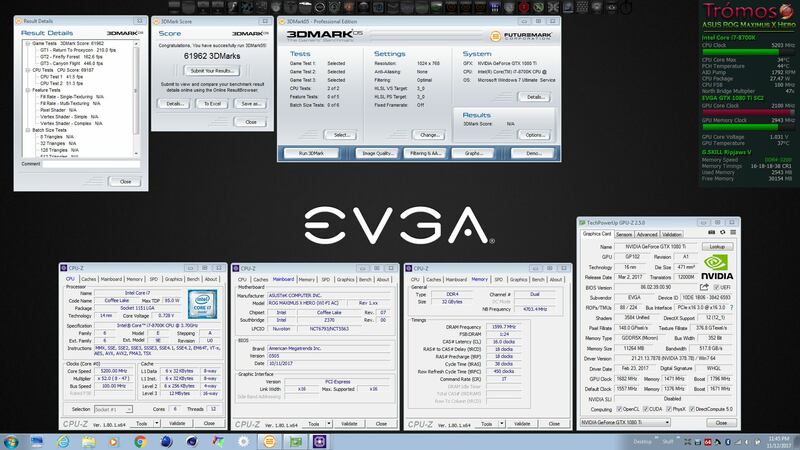 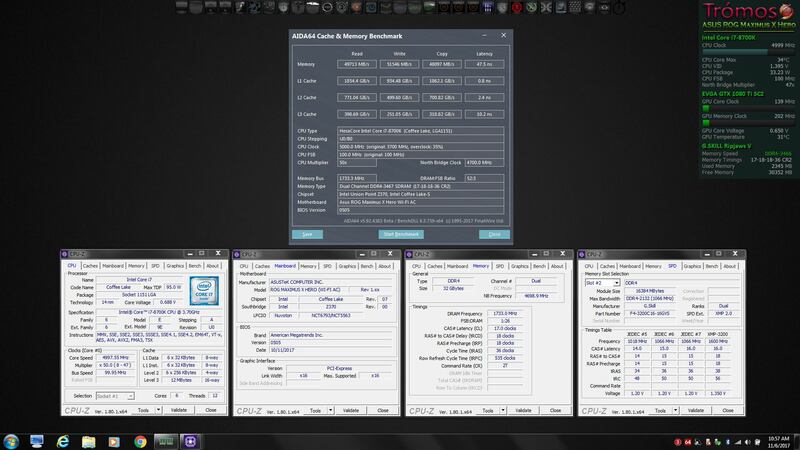 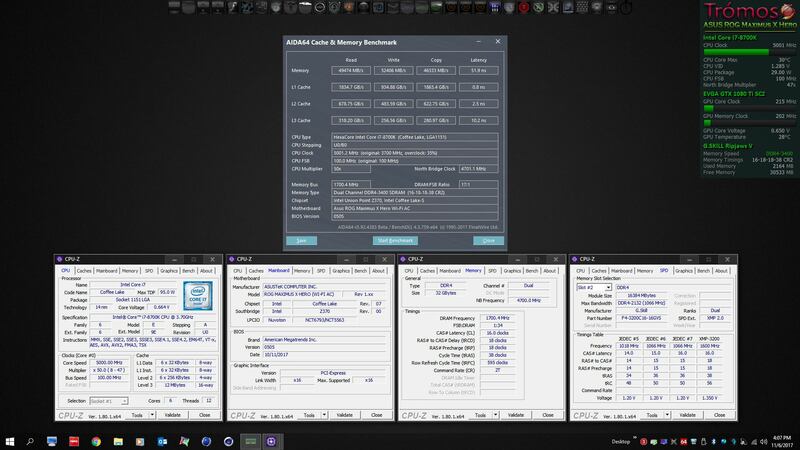 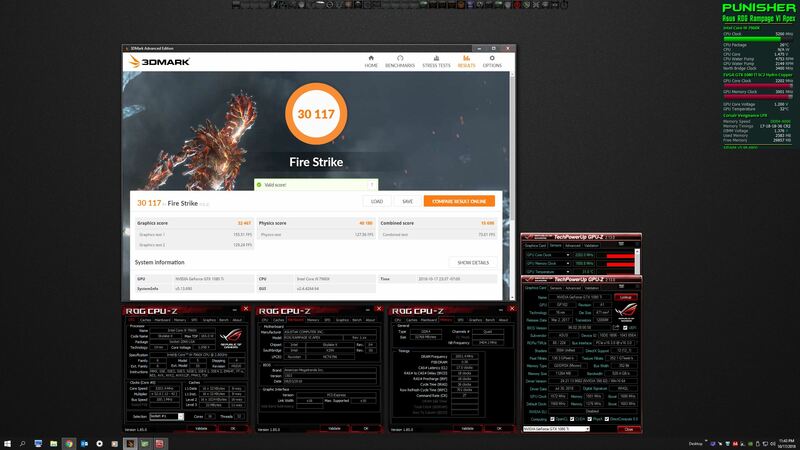 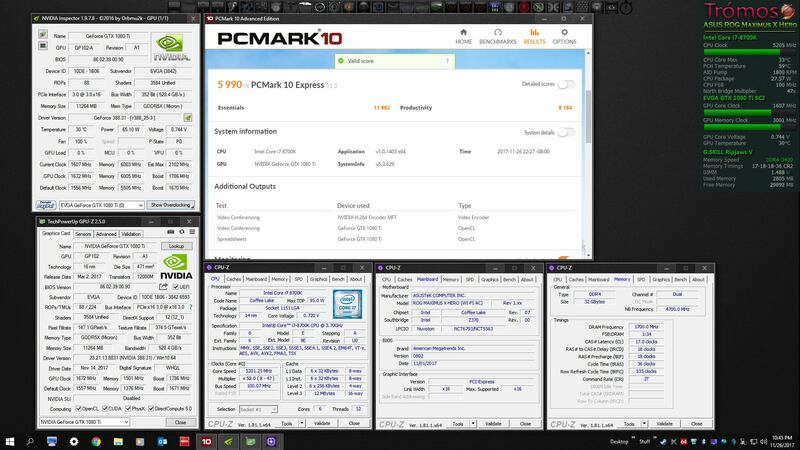 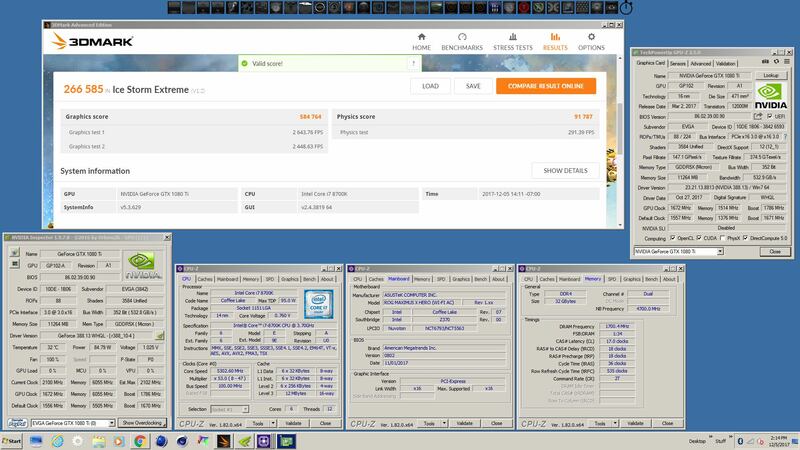 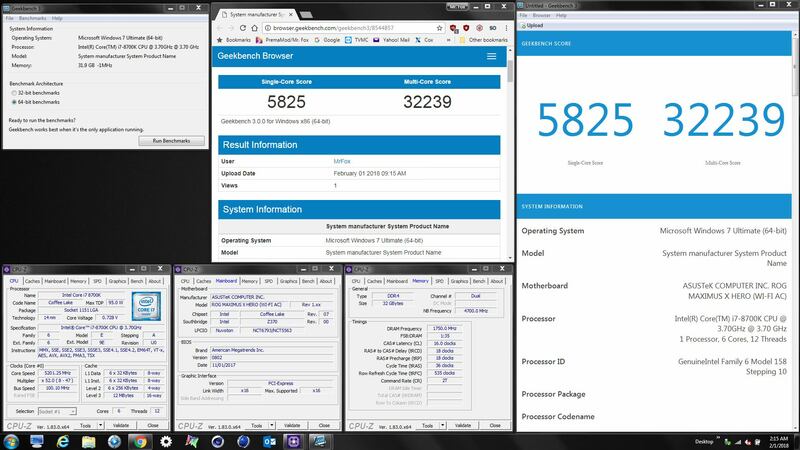 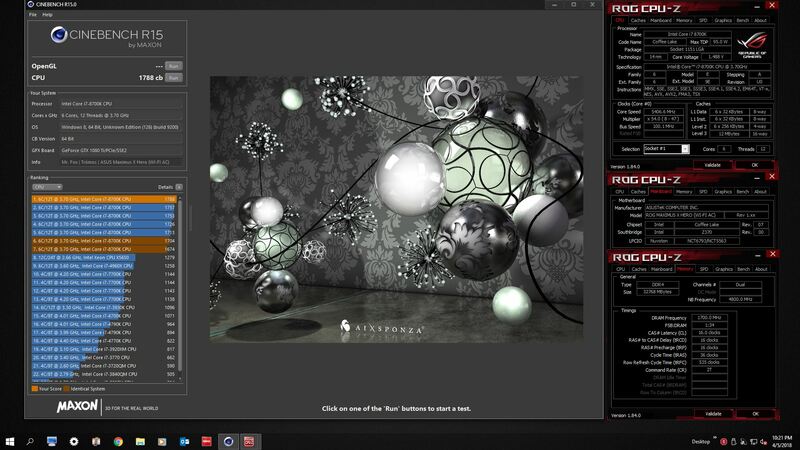 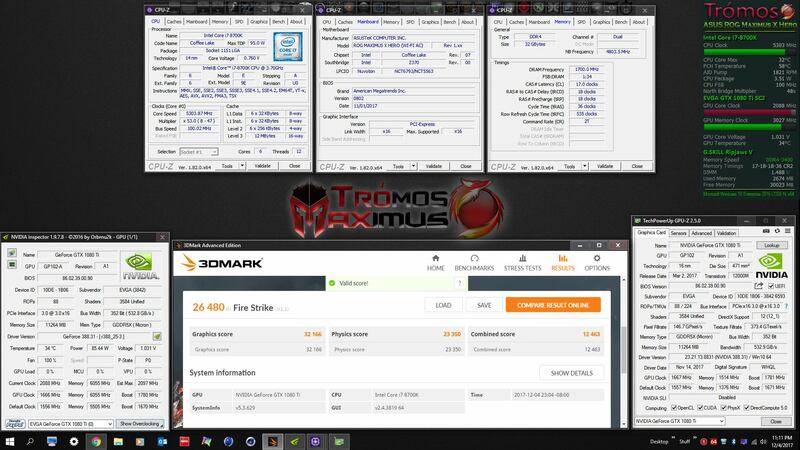 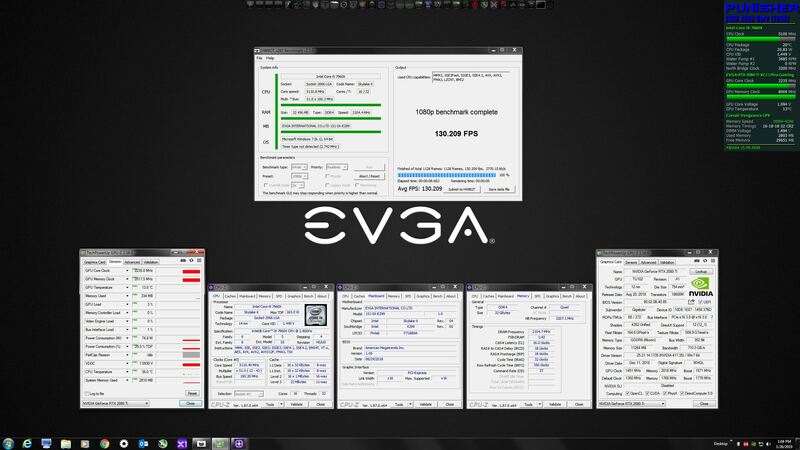 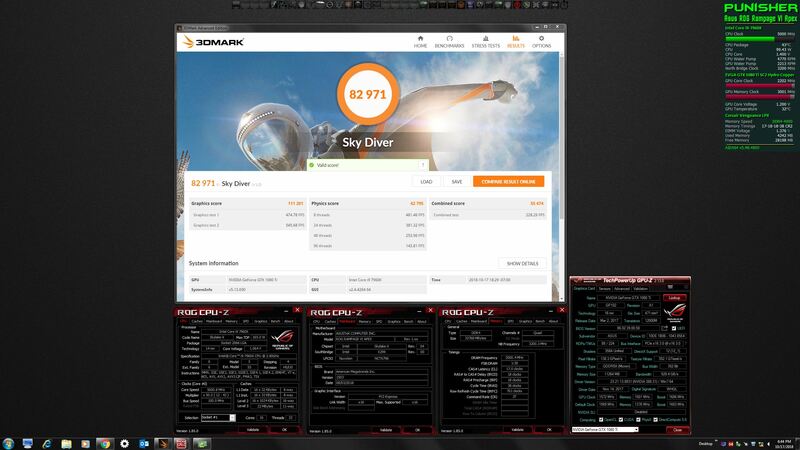 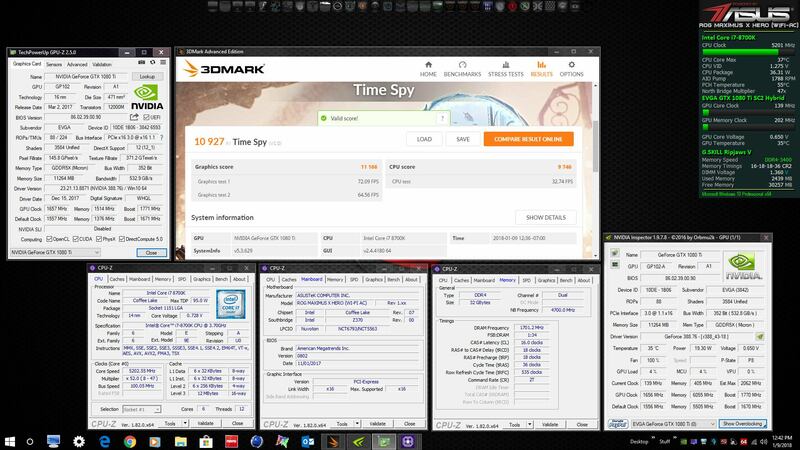 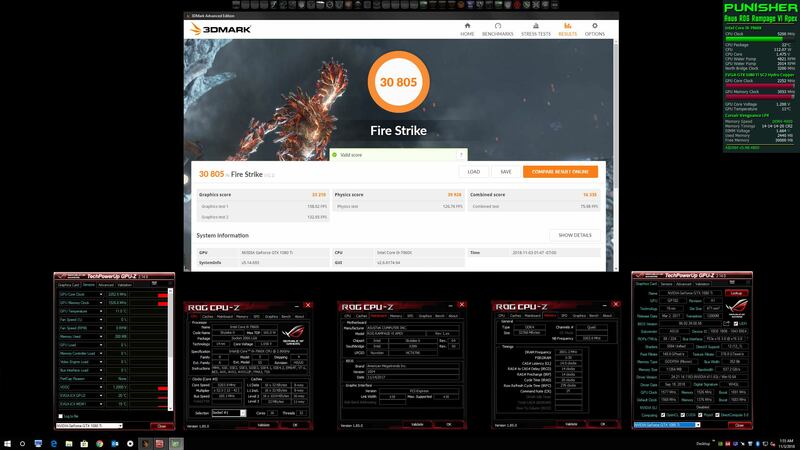 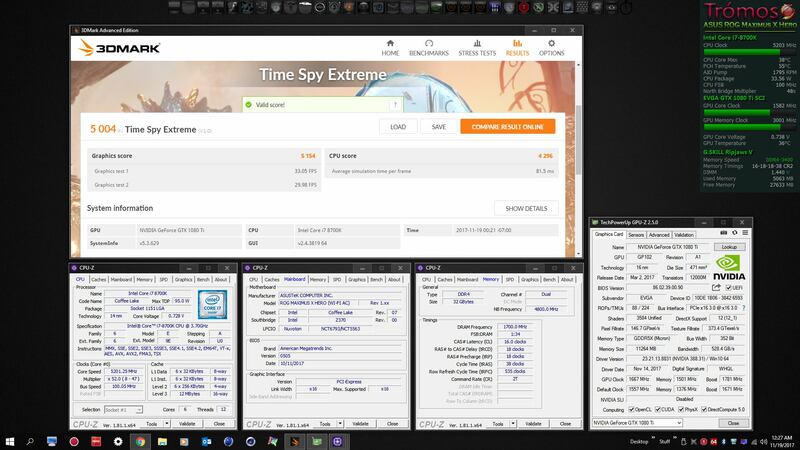 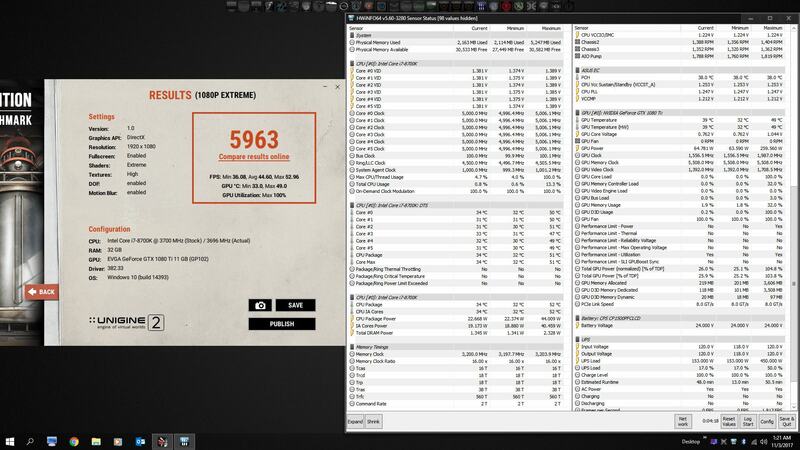 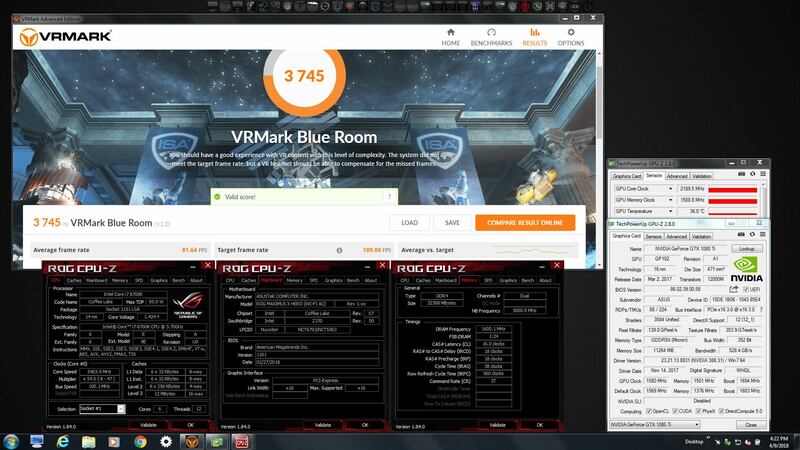 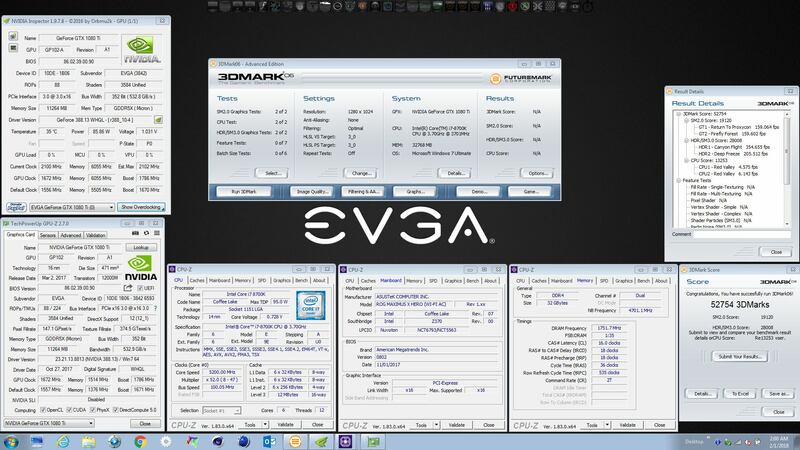 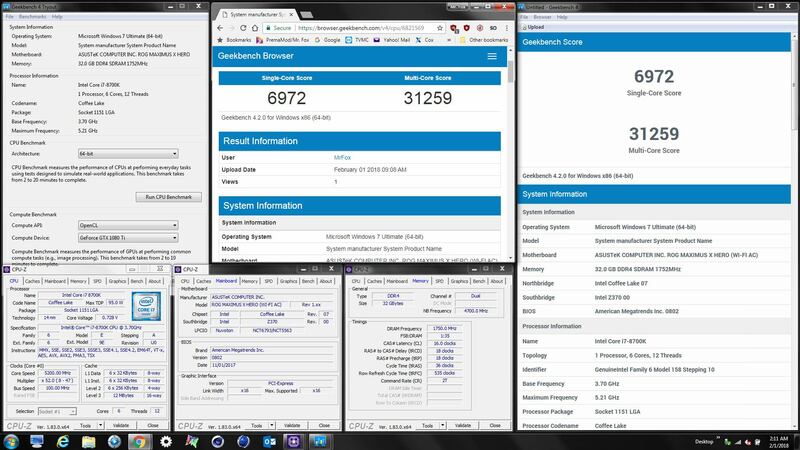 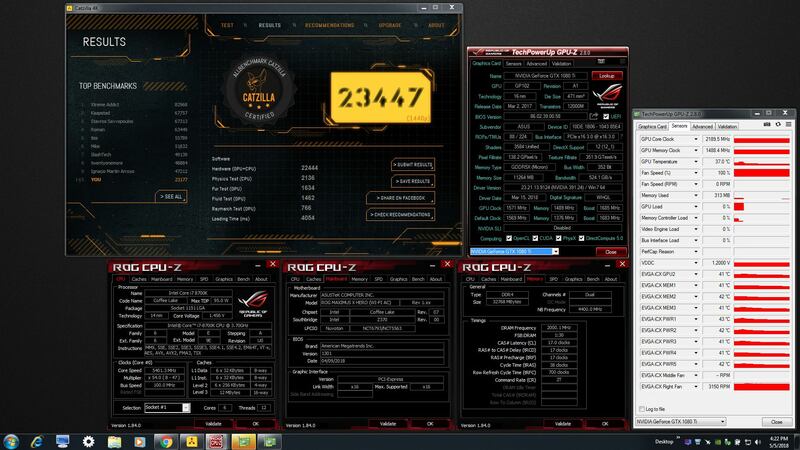 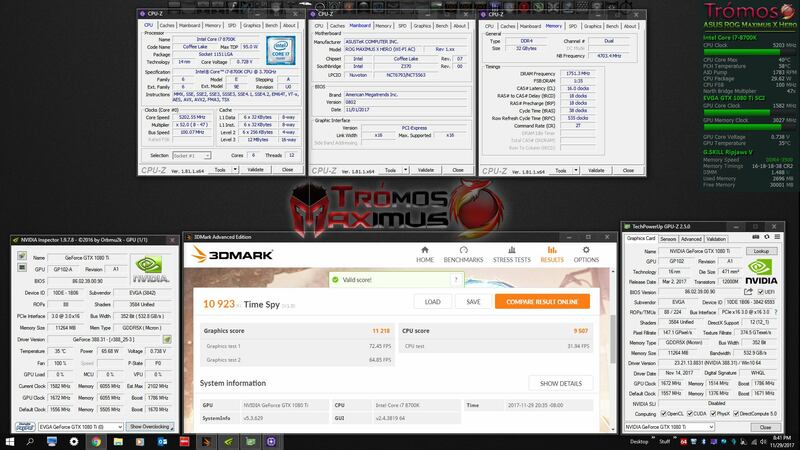 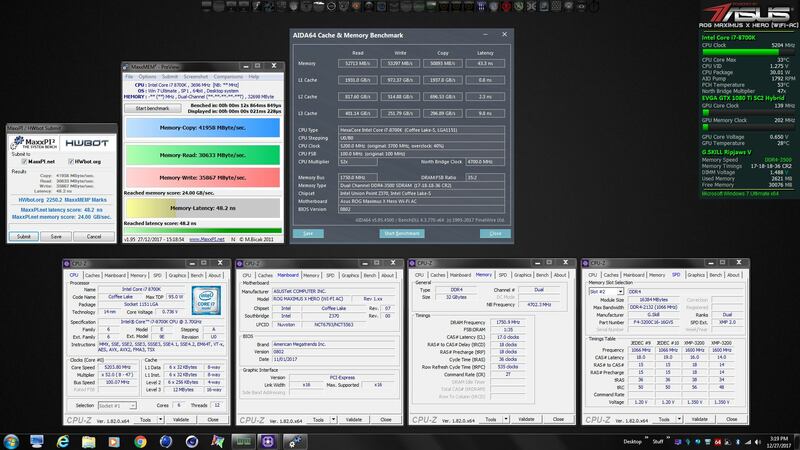 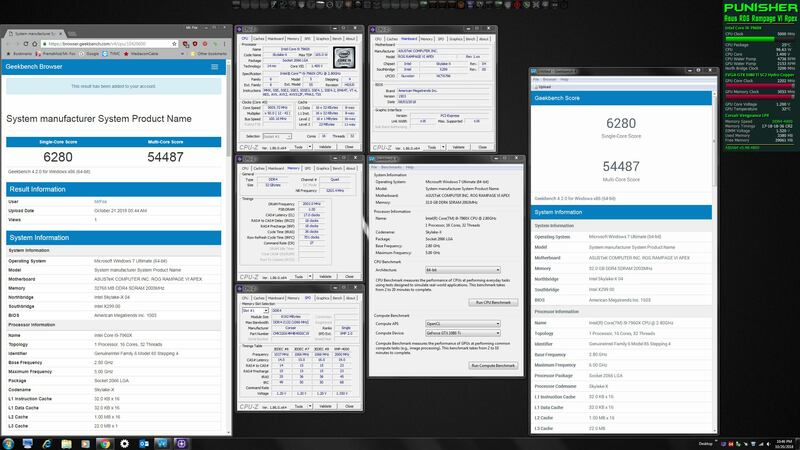 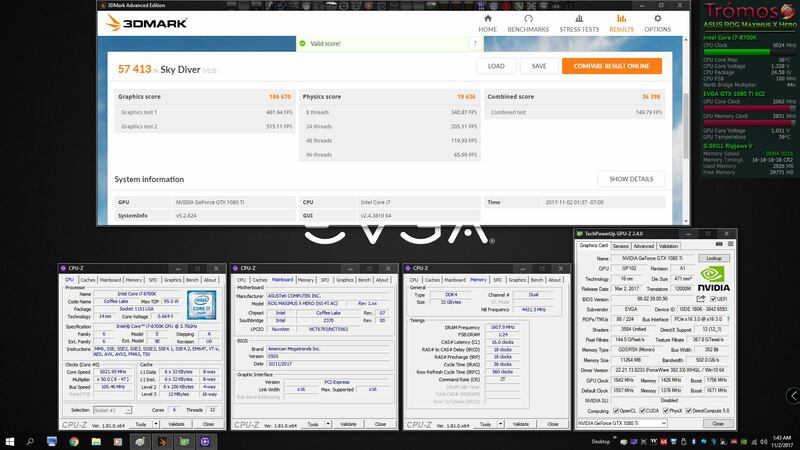 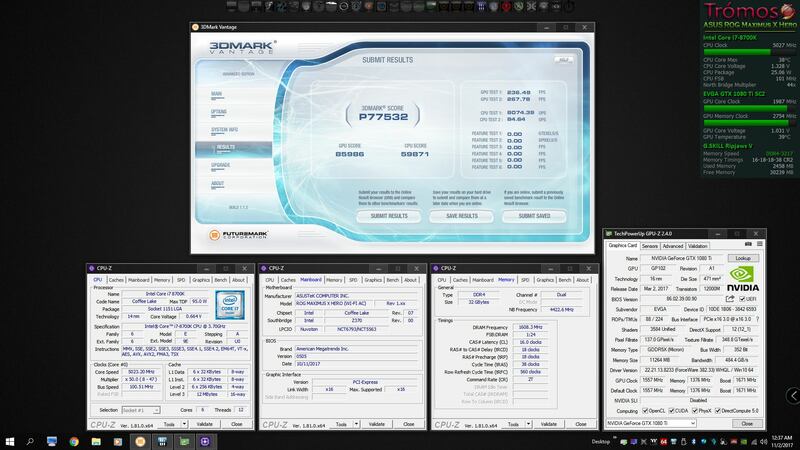 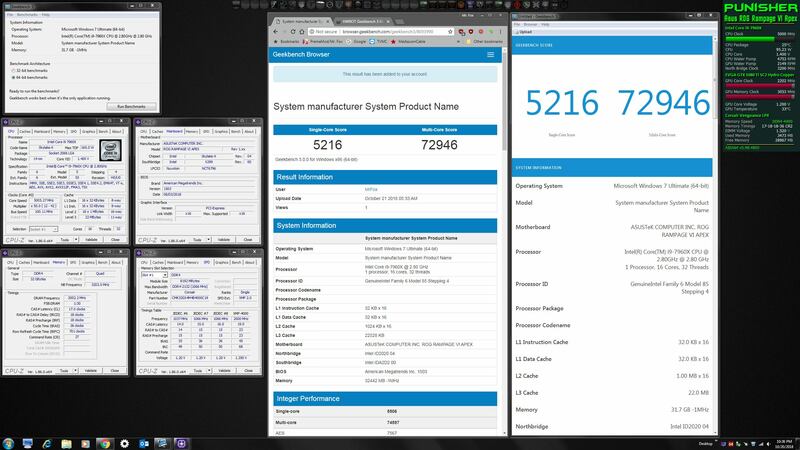 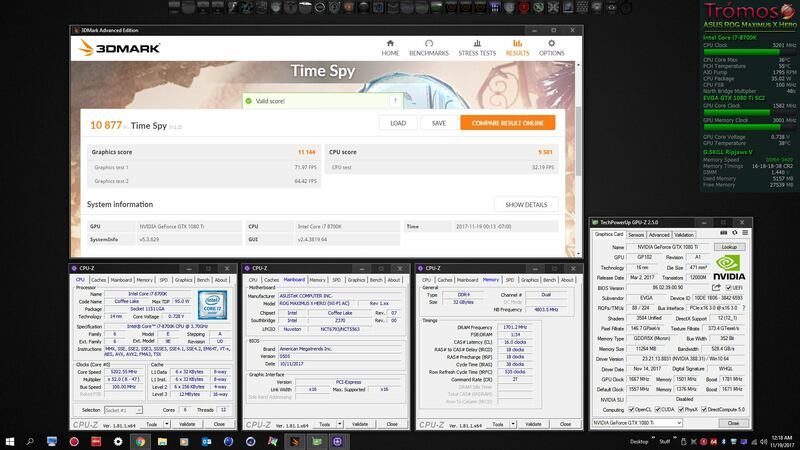 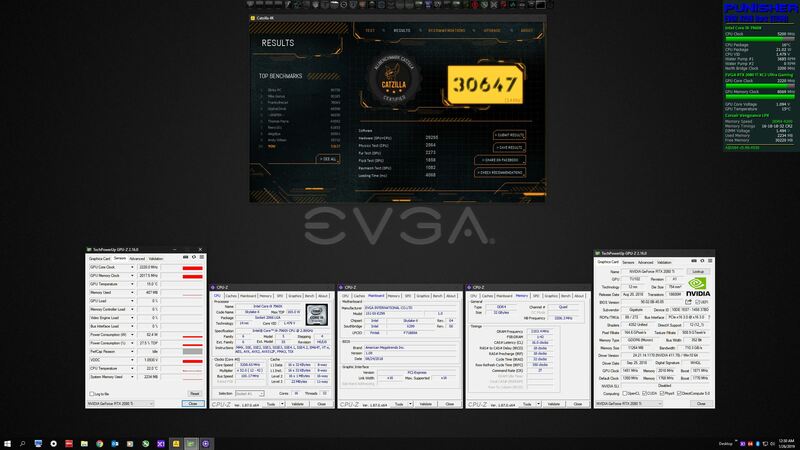 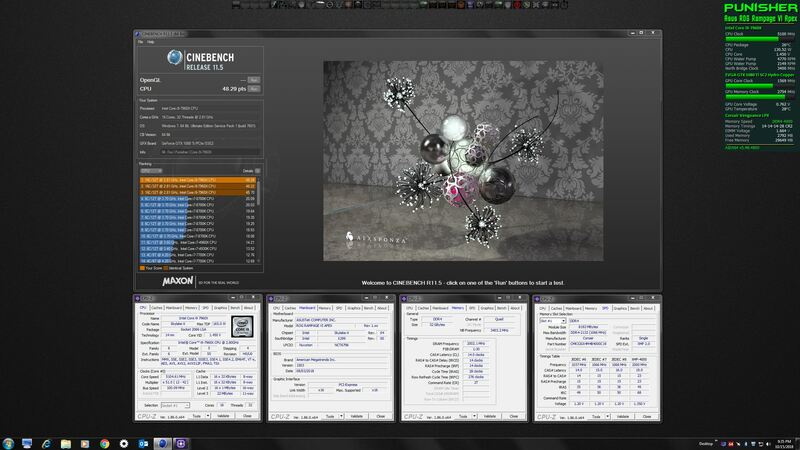 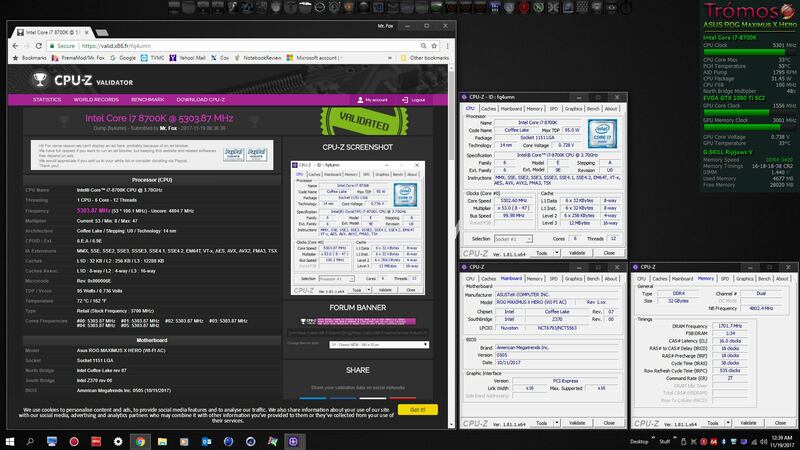 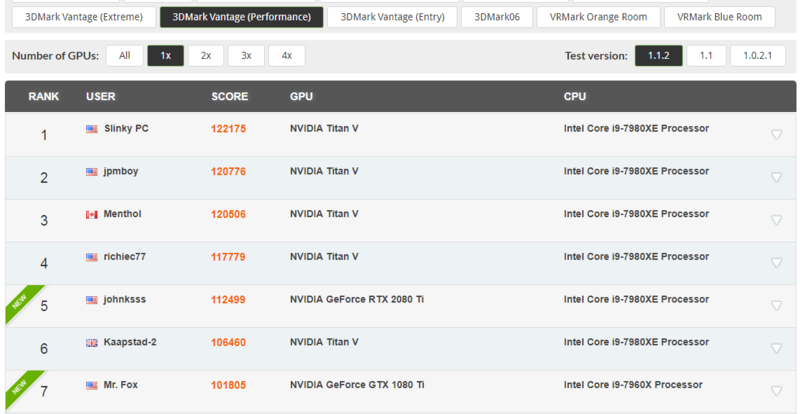 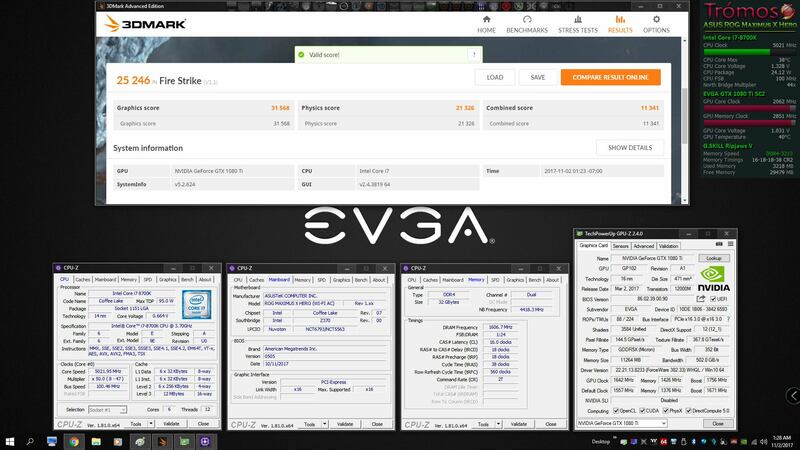 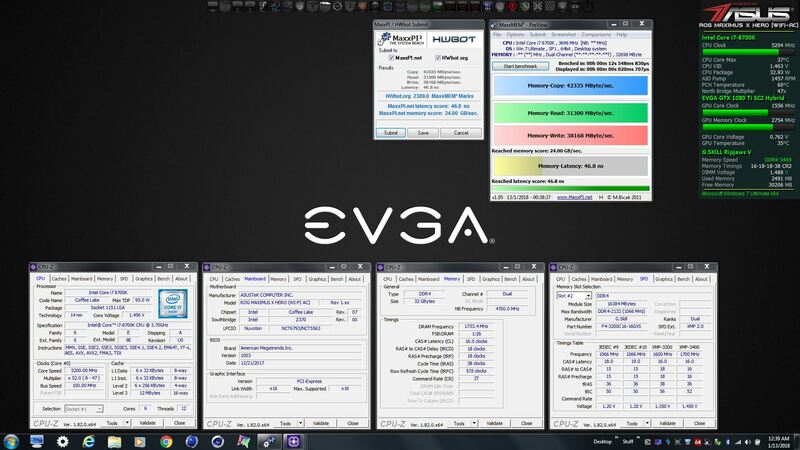 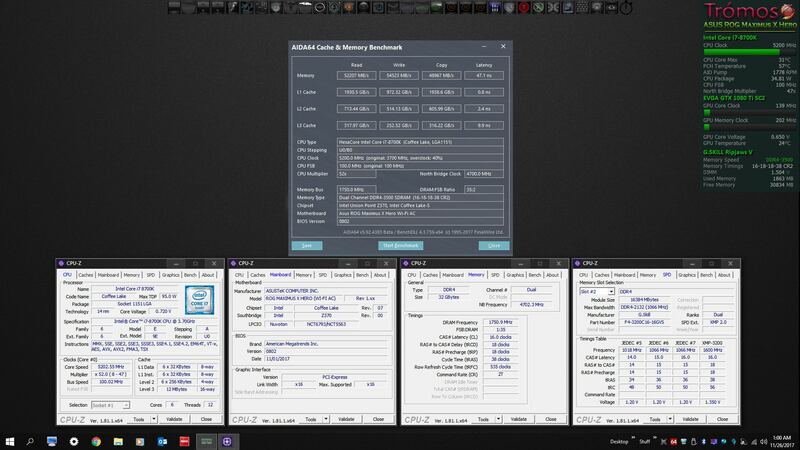 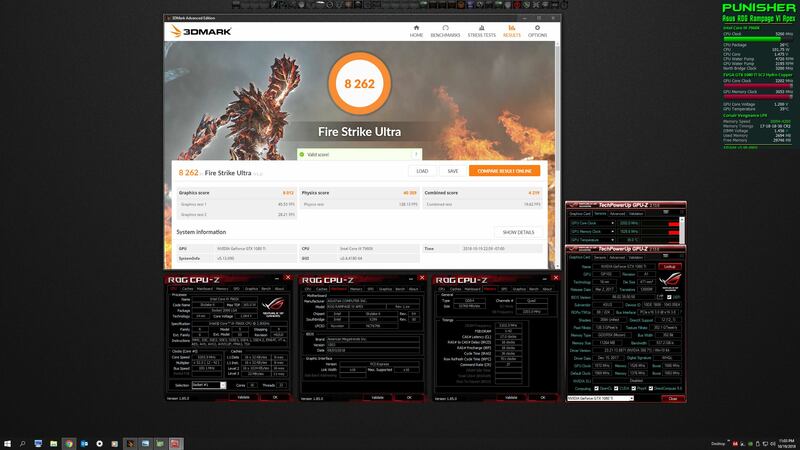 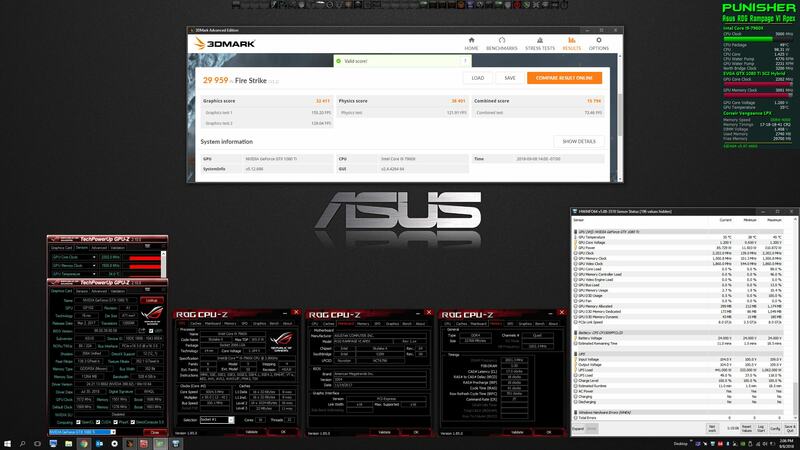 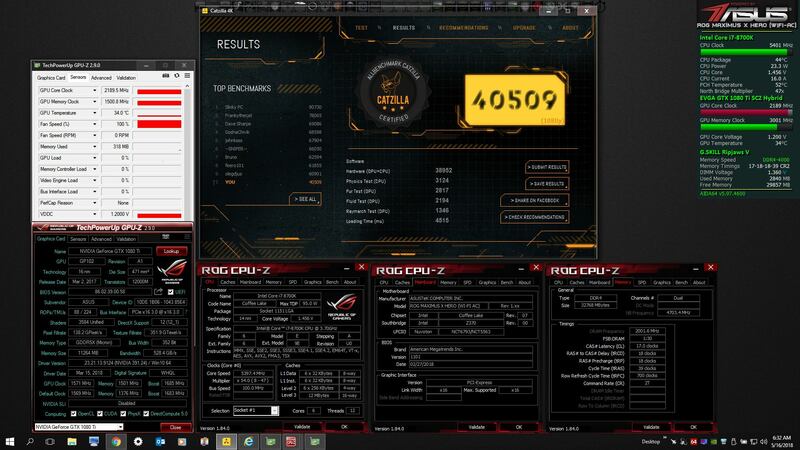 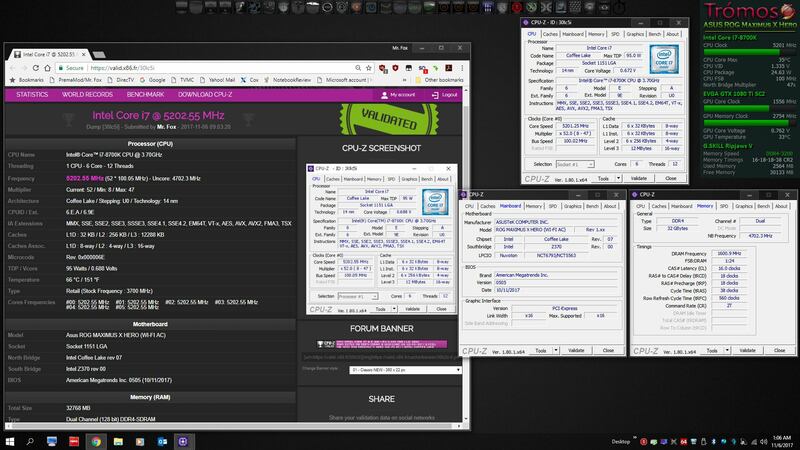 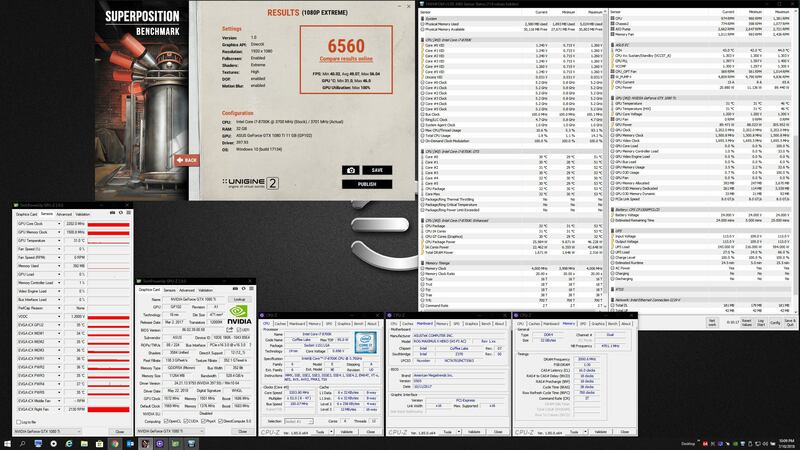 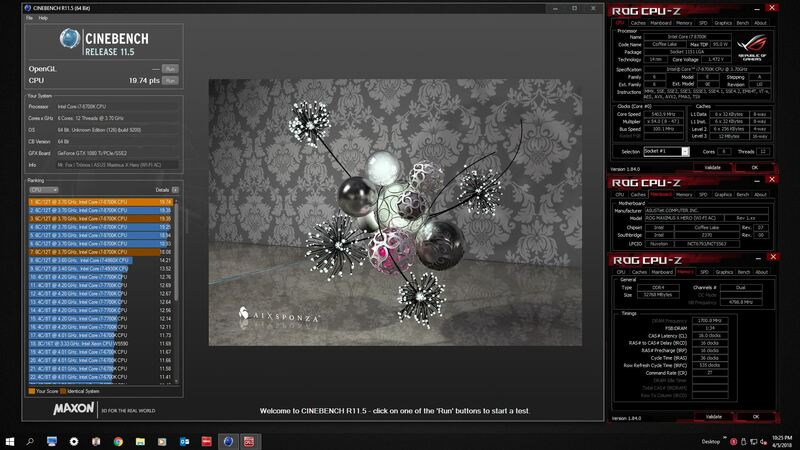 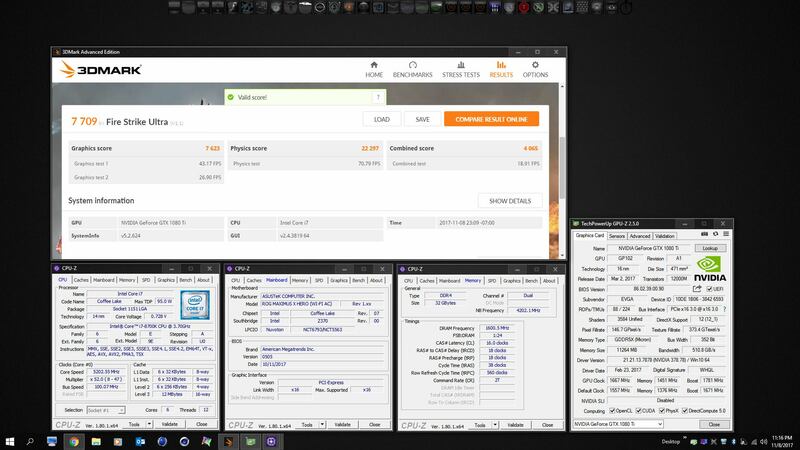 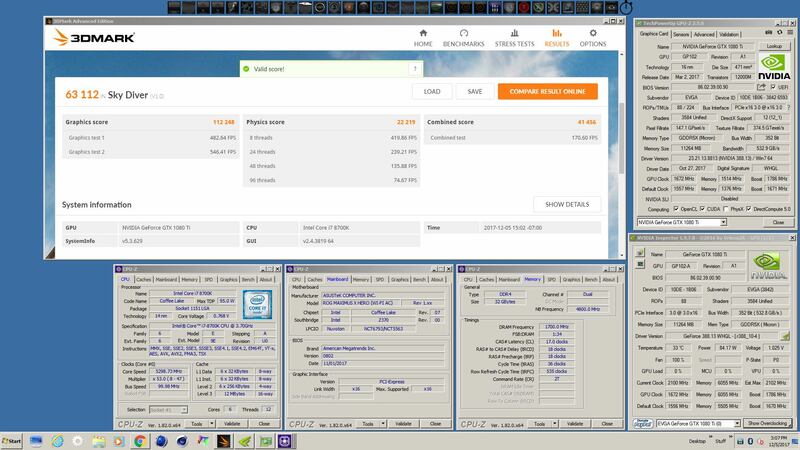 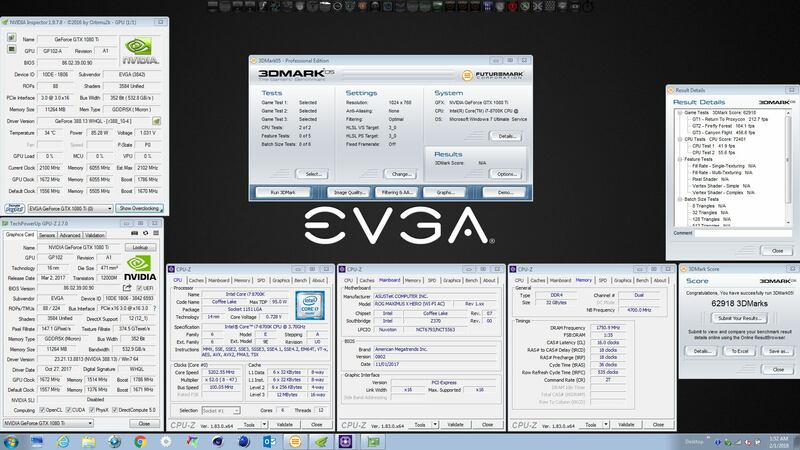 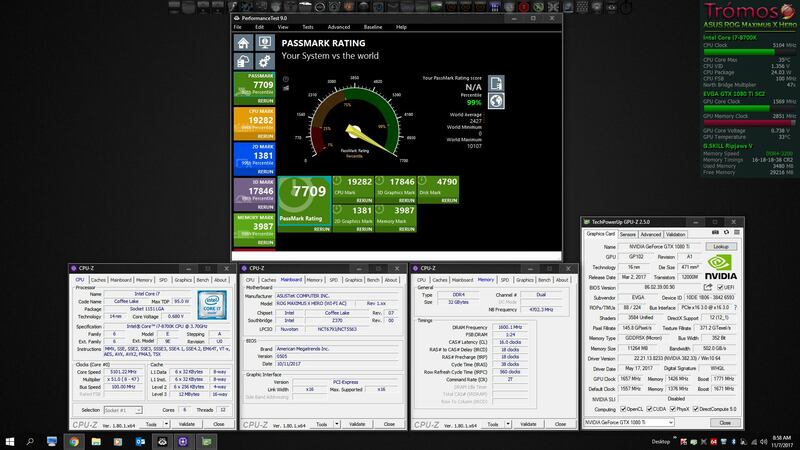 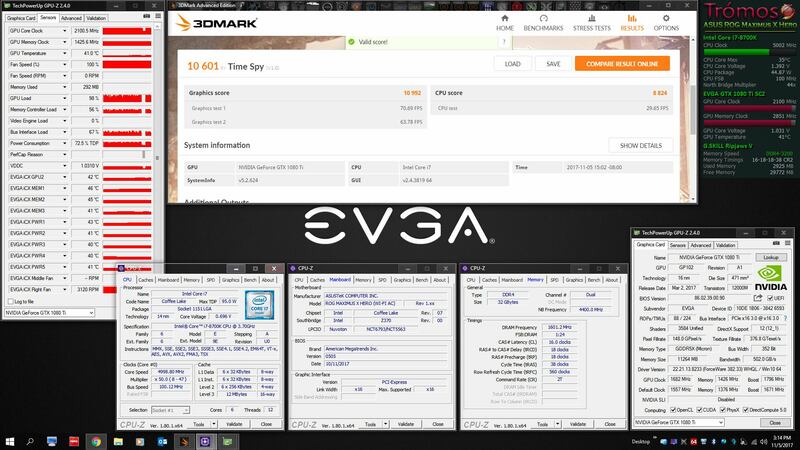 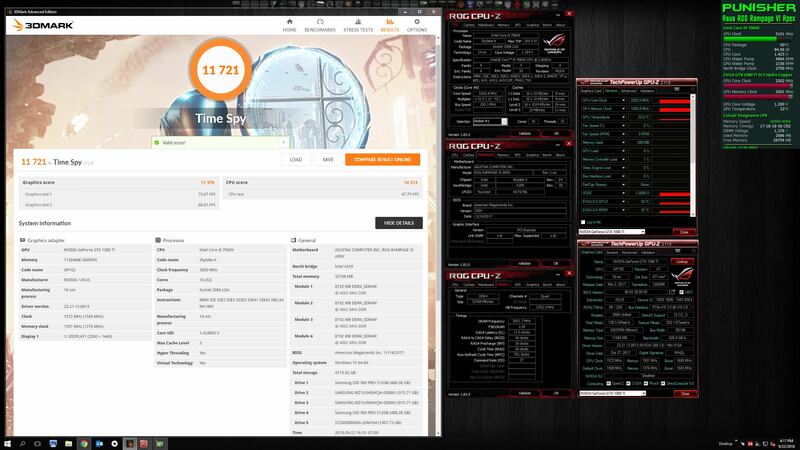 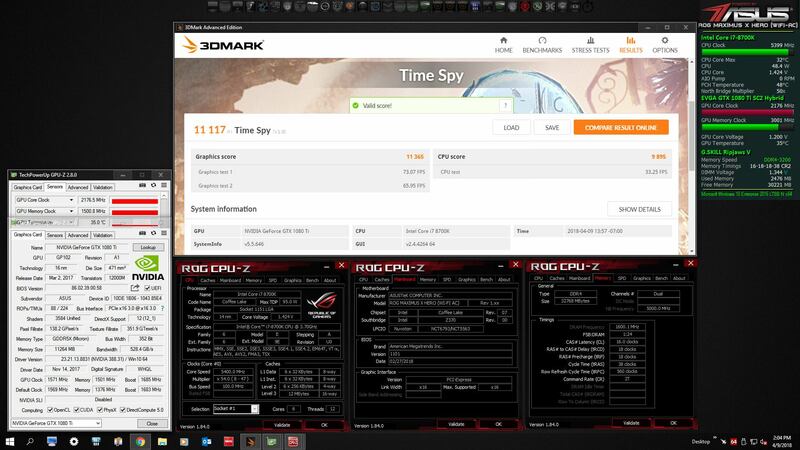 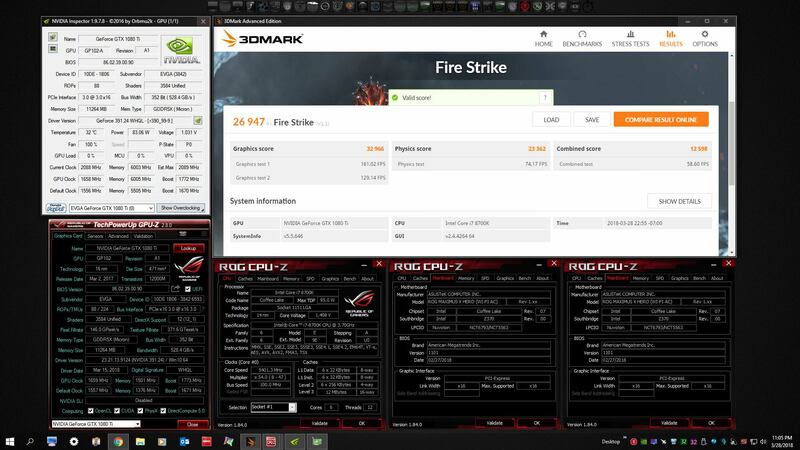 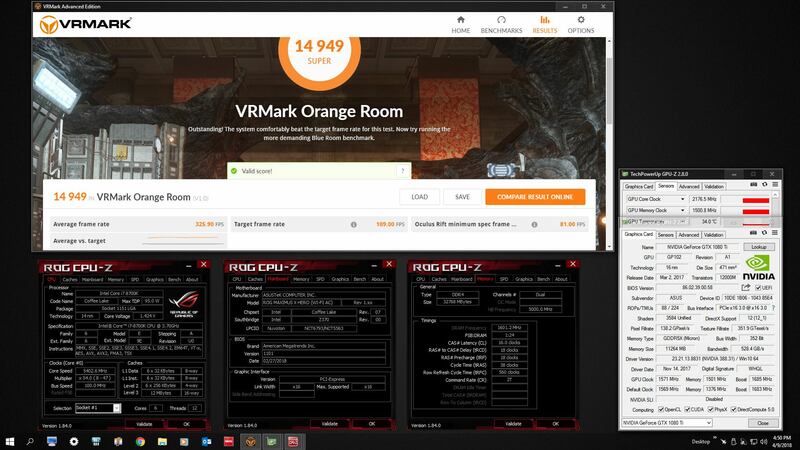 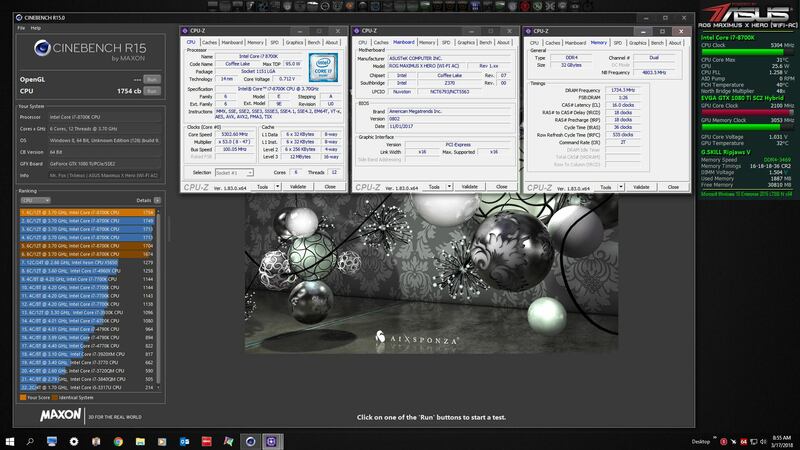 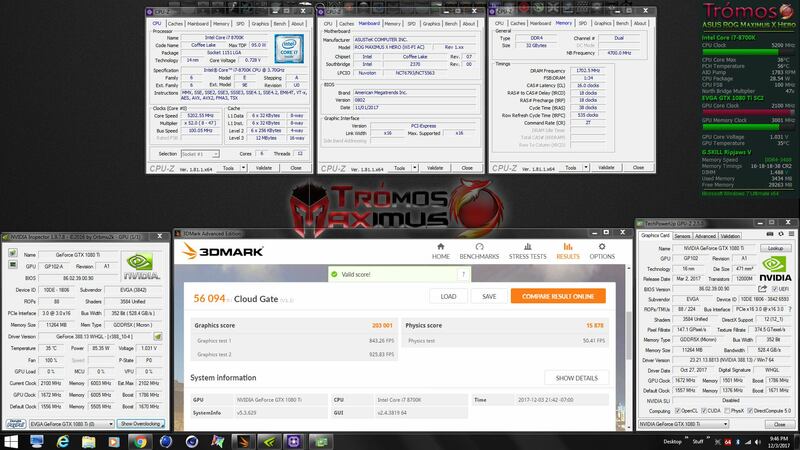 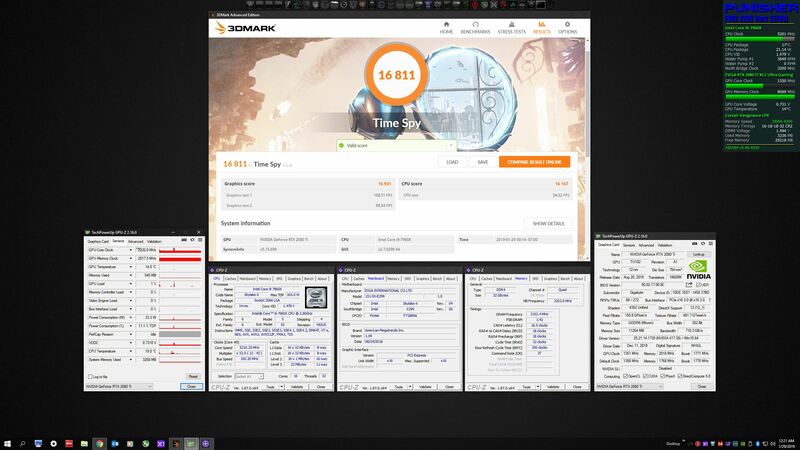 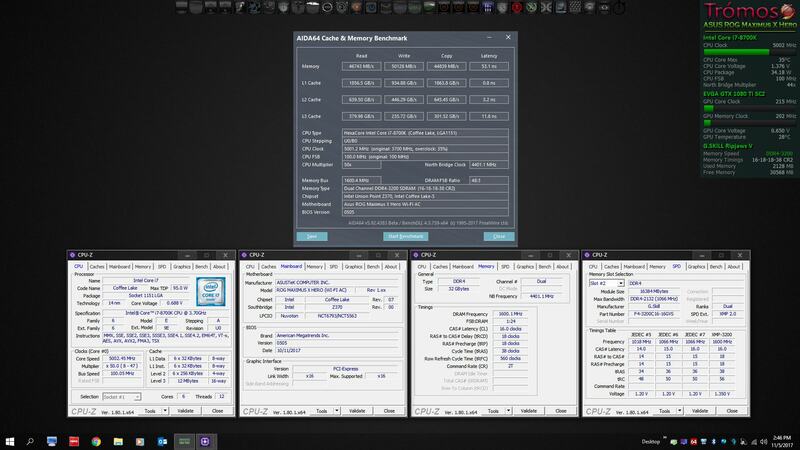 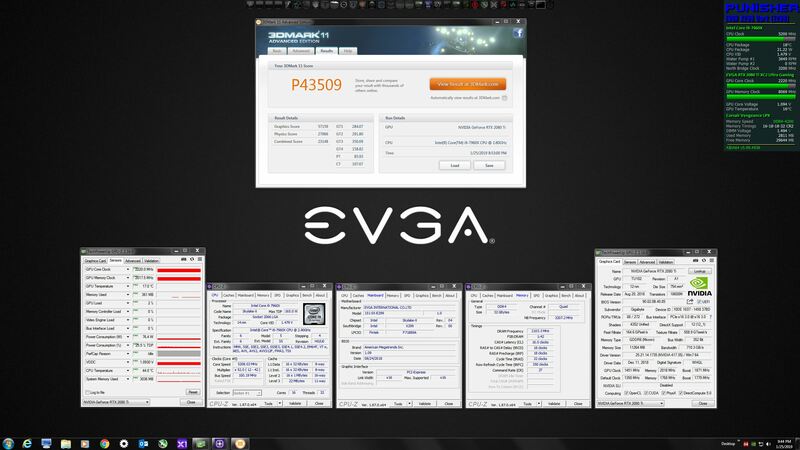 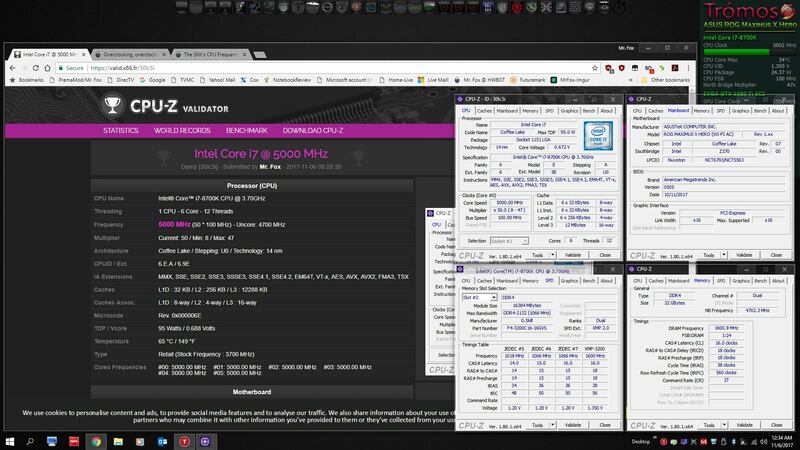 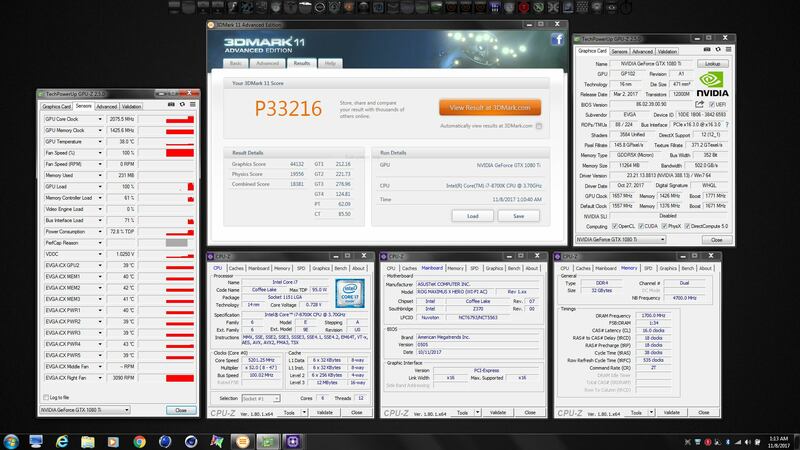 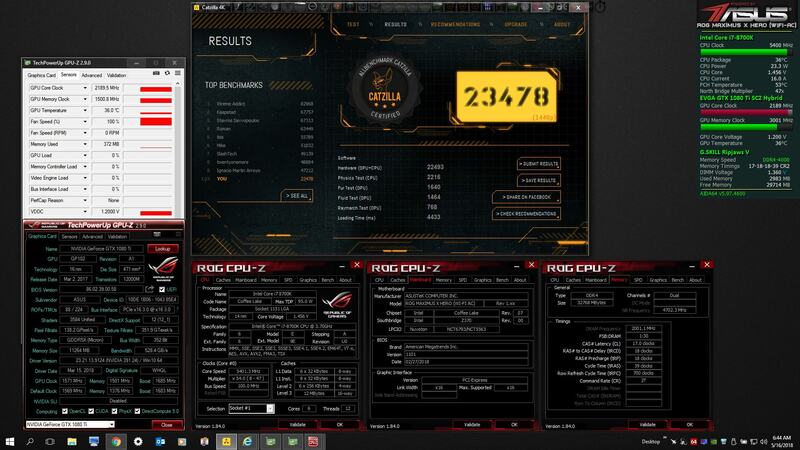 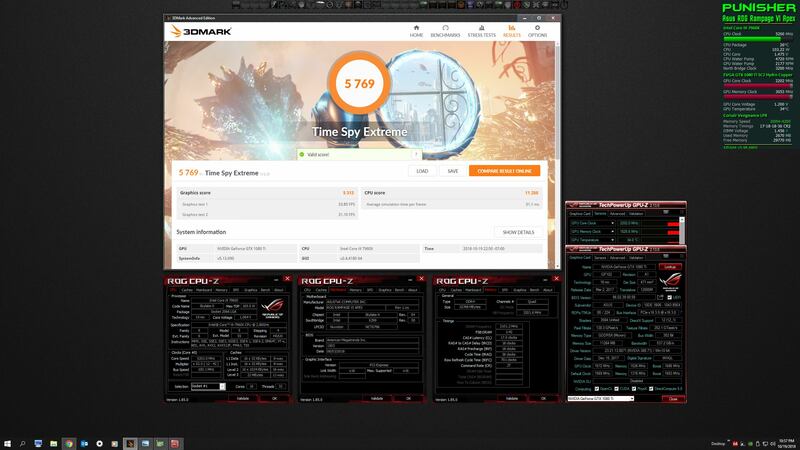 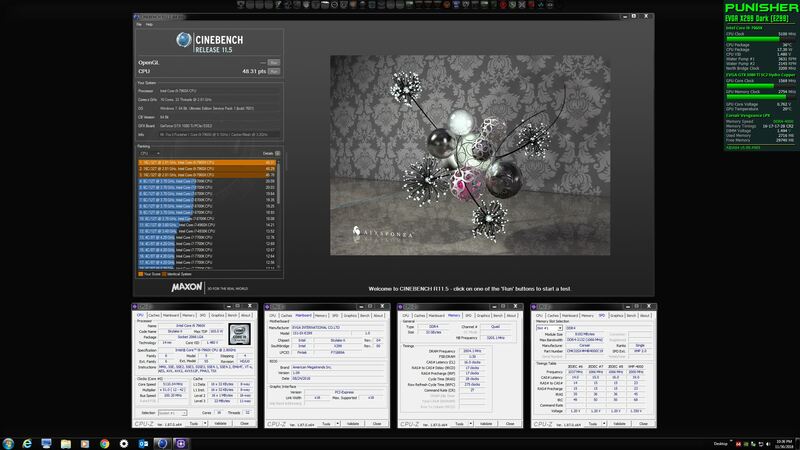 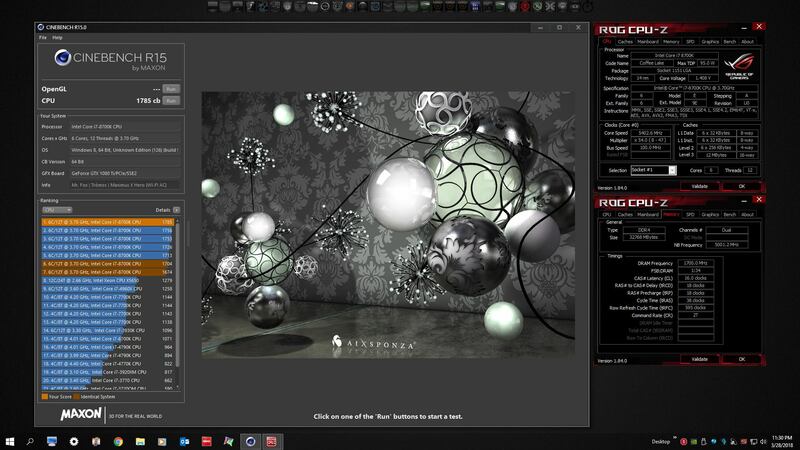 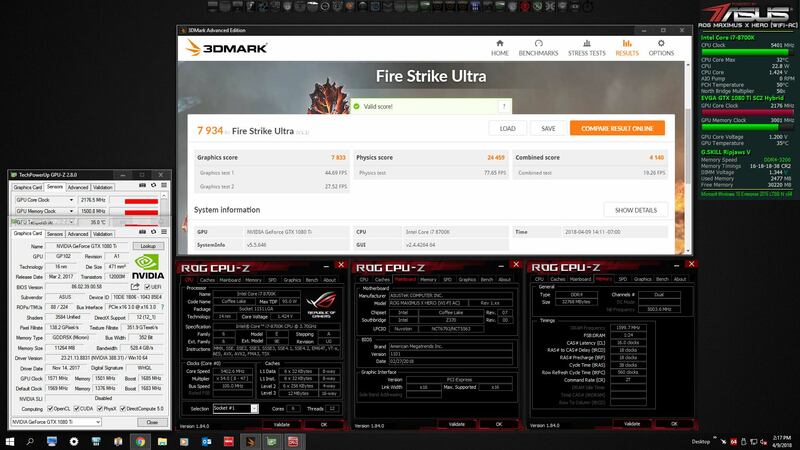 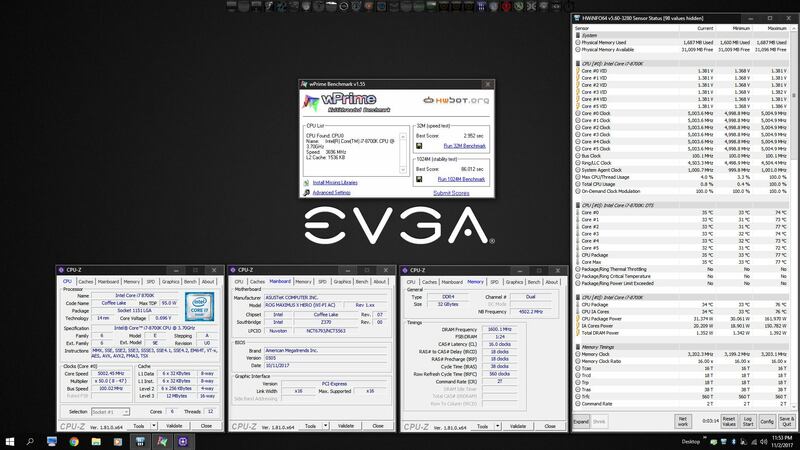 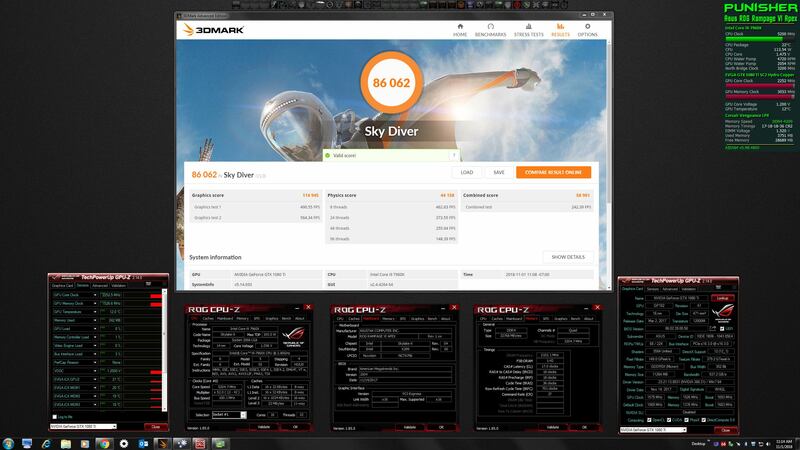 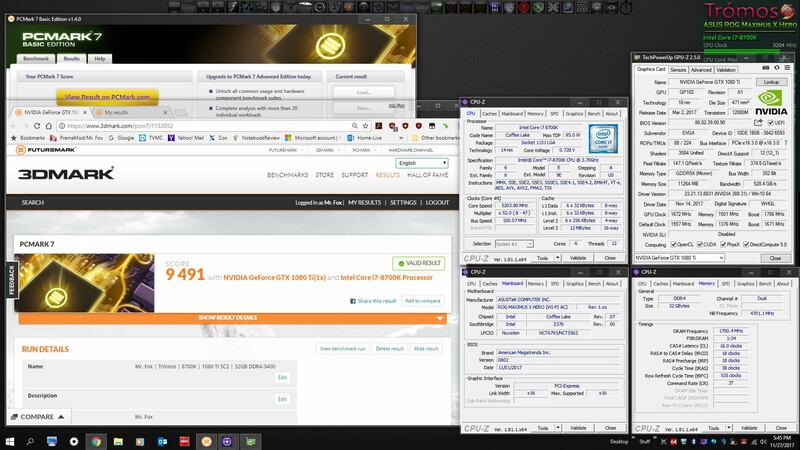 Laptop owners should feel free to participate in discussions, ask questions about overclocking and post benchmark scores to compare with what they see from desktop owners. 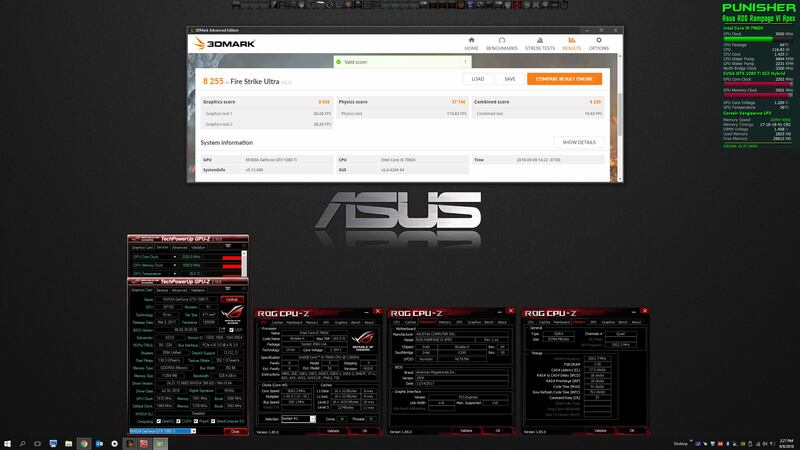 This is a brand-agnostic thread for those that want to rub elbows with those outside of their brand-specific threads and fanboy cliques. 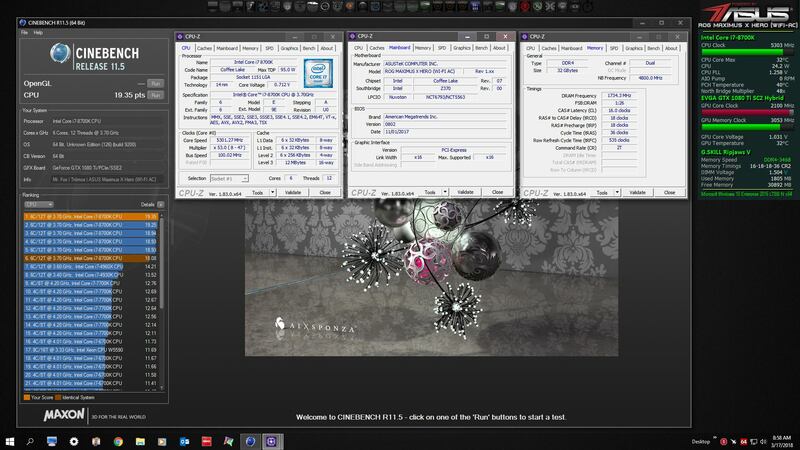 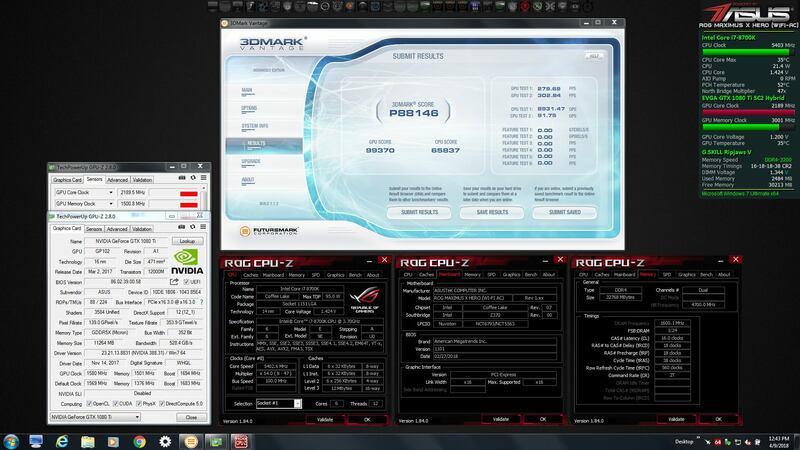 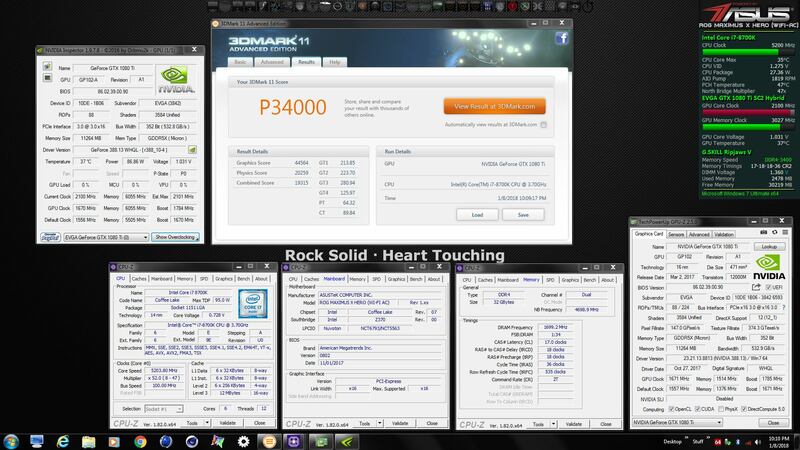 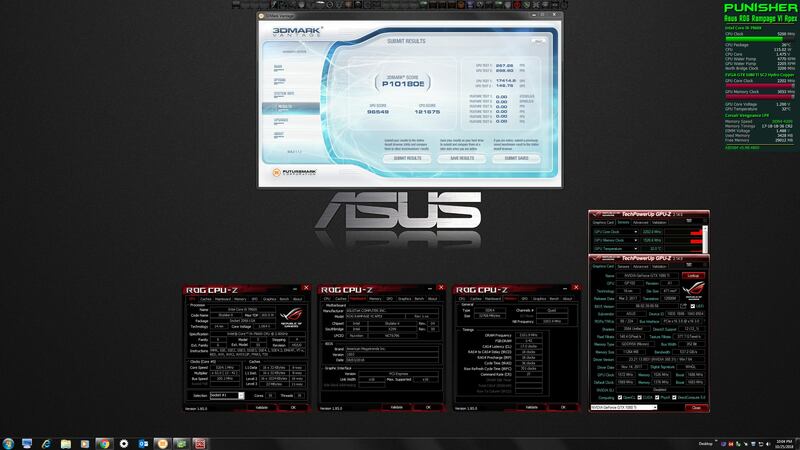 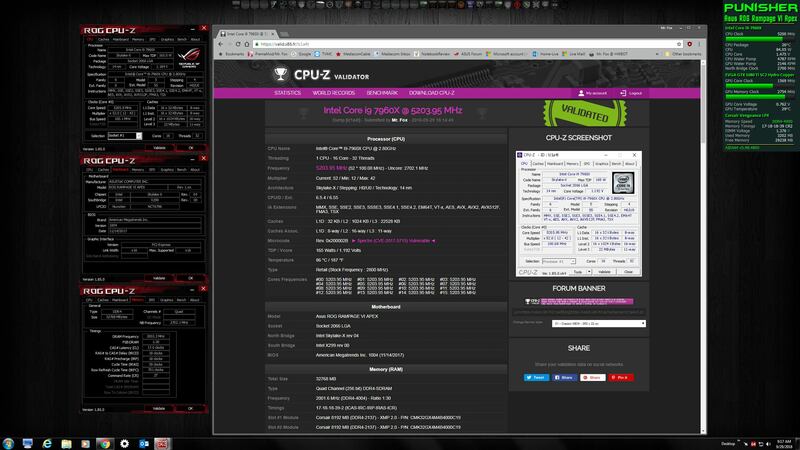 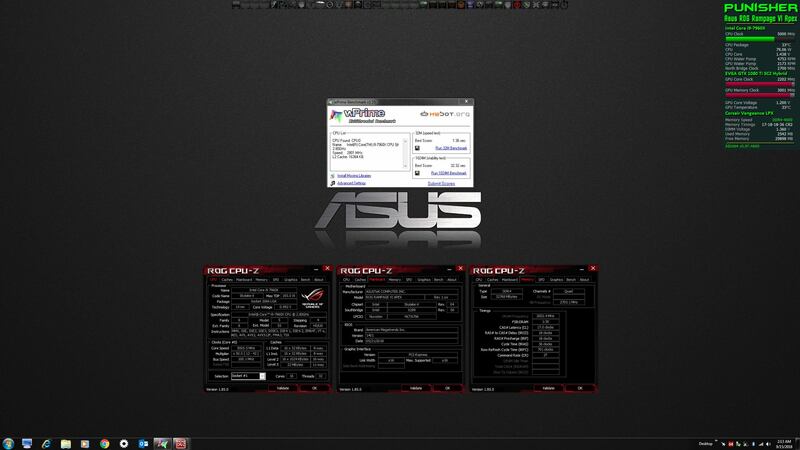 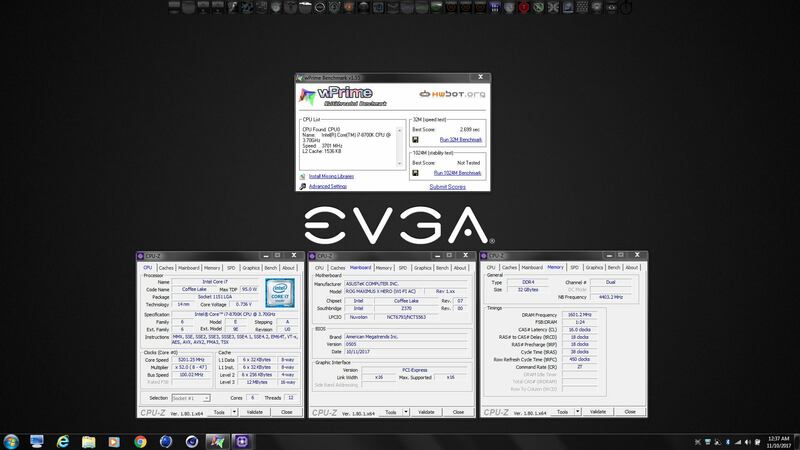 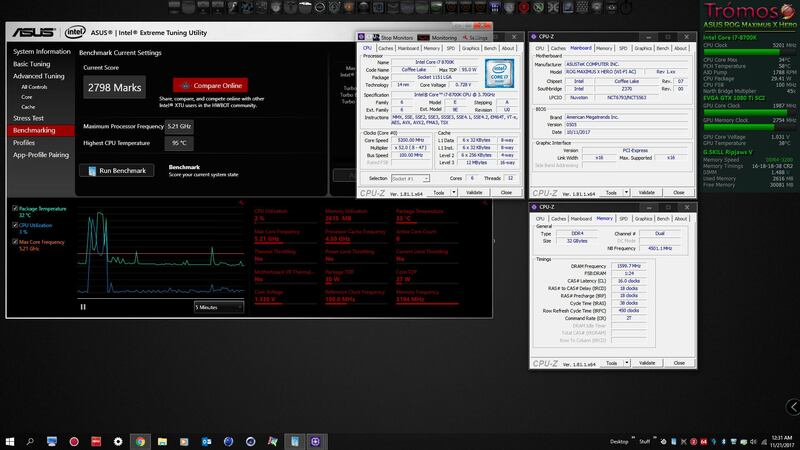 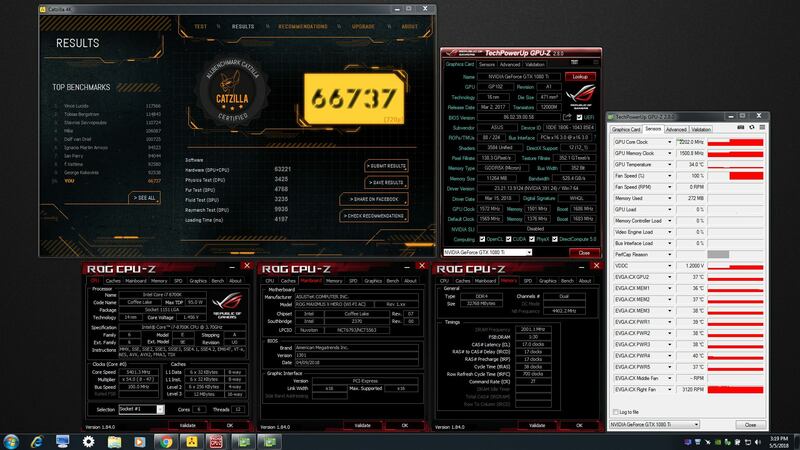 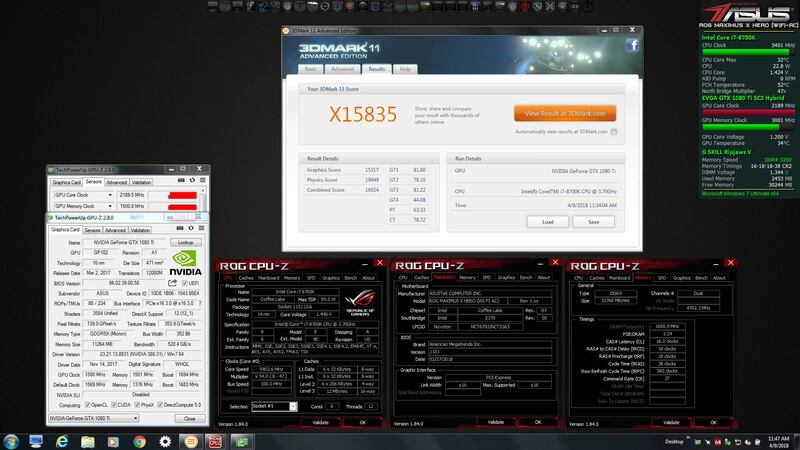 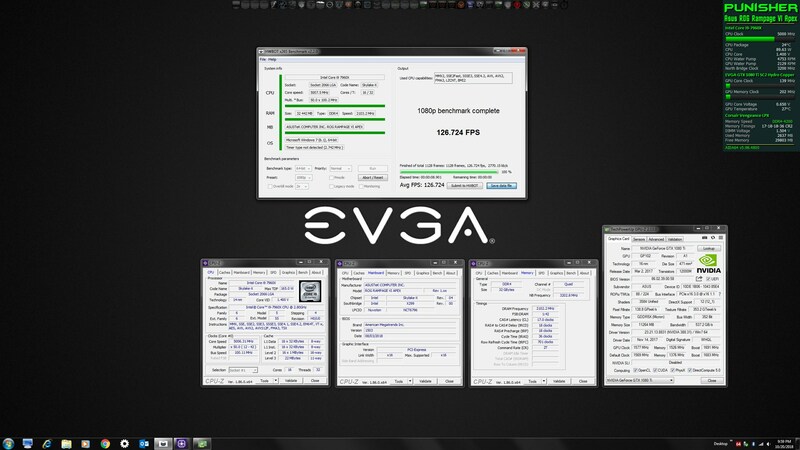 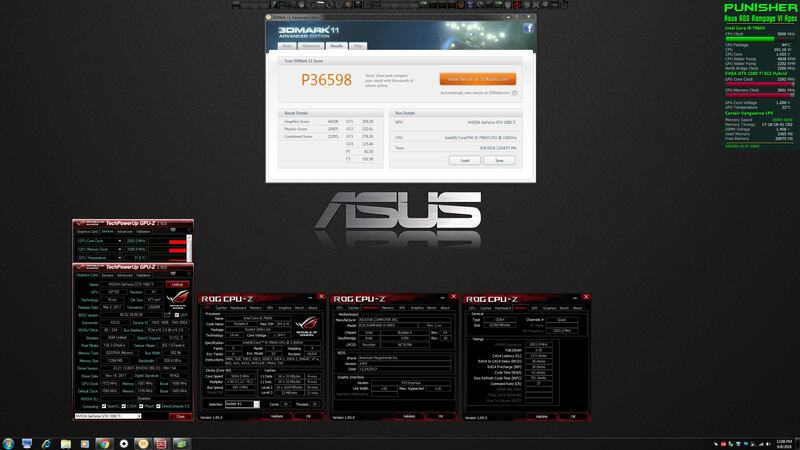 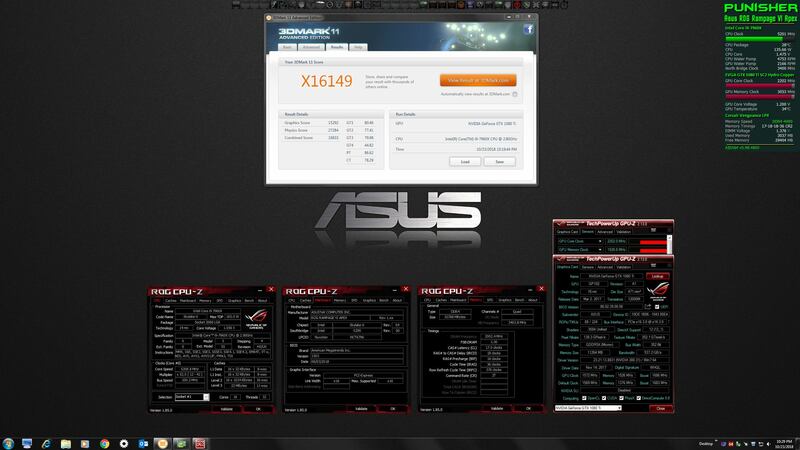 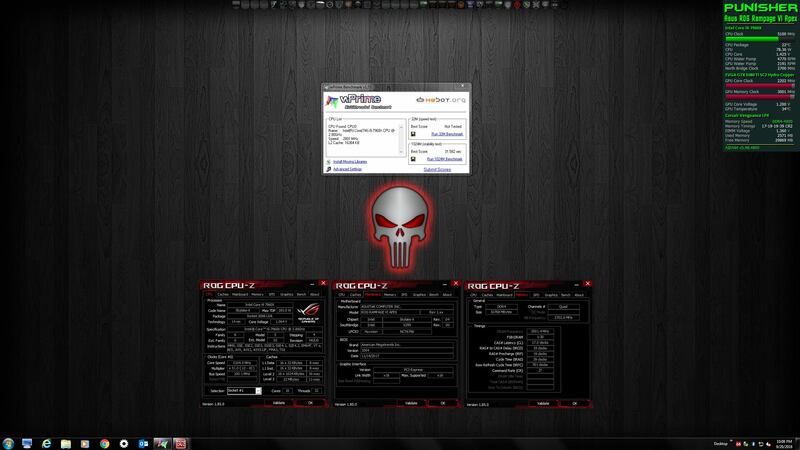 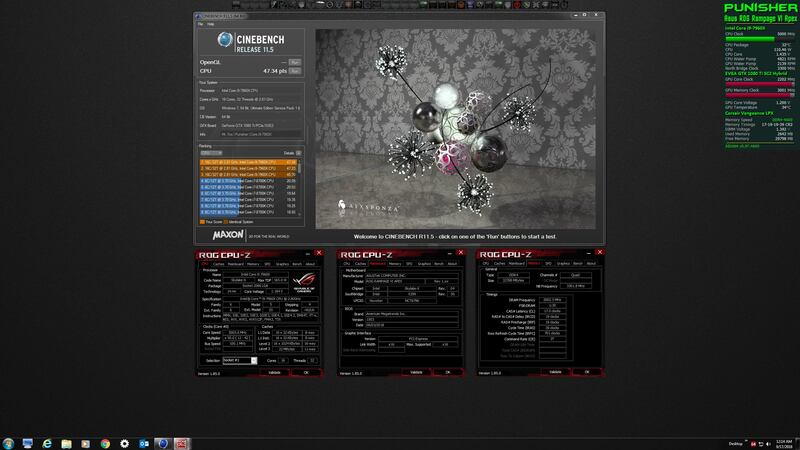 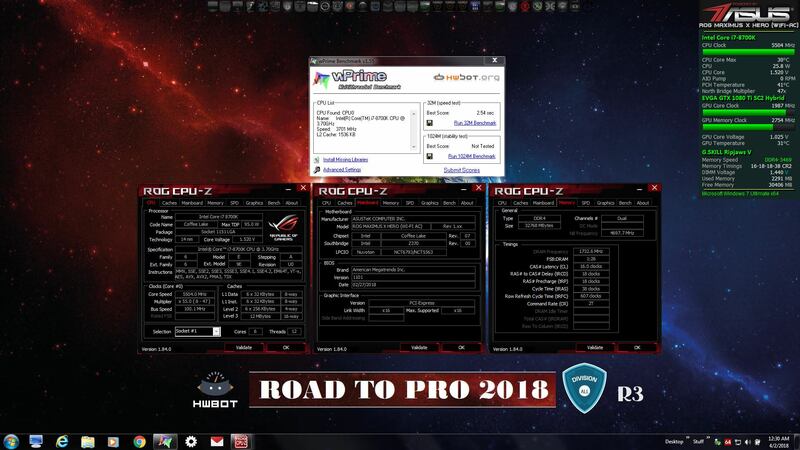 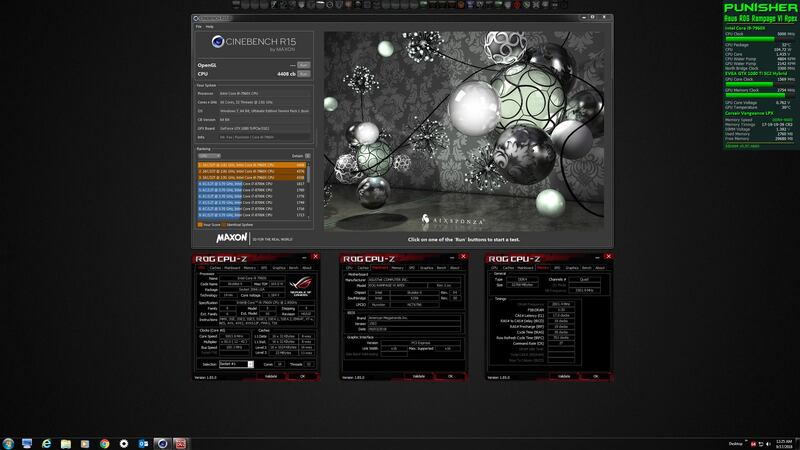 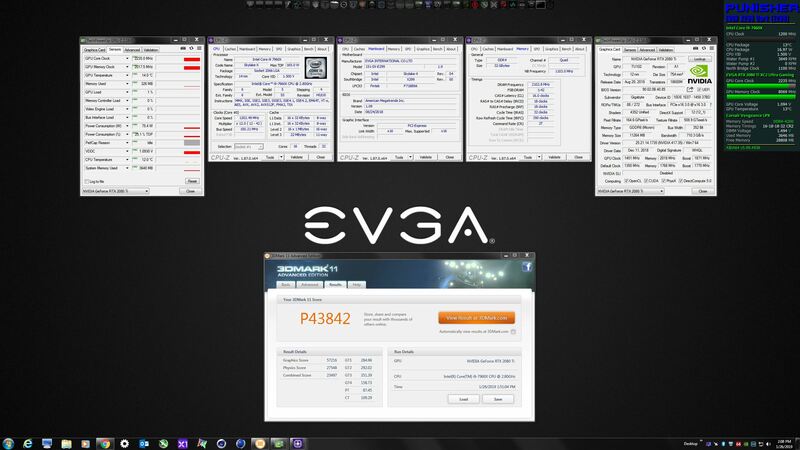 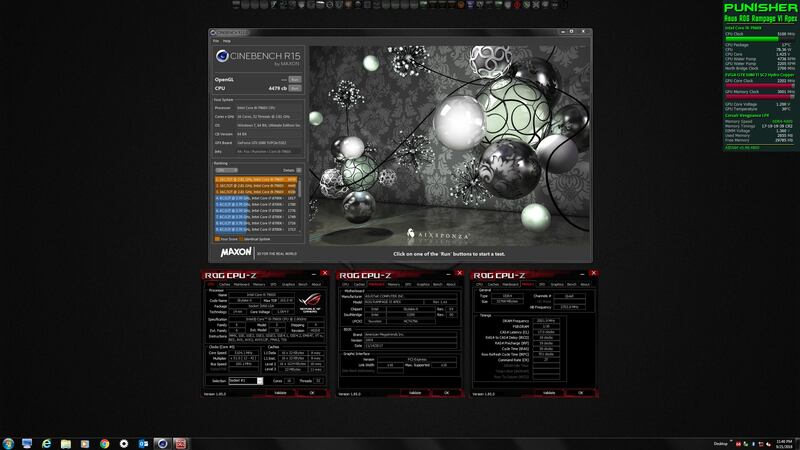 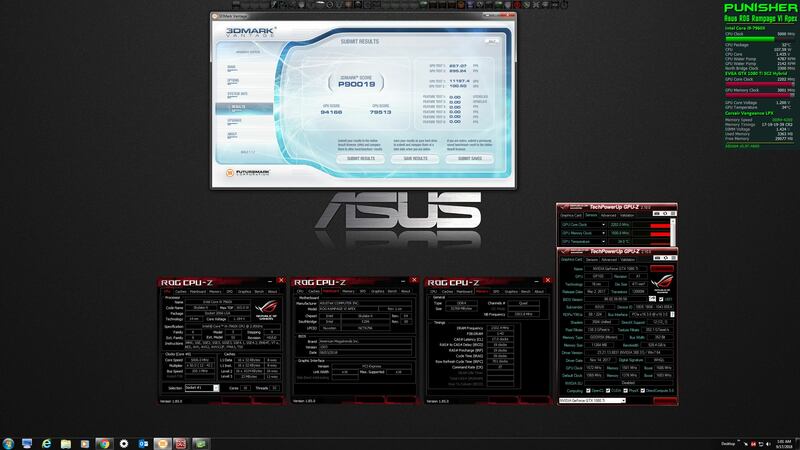 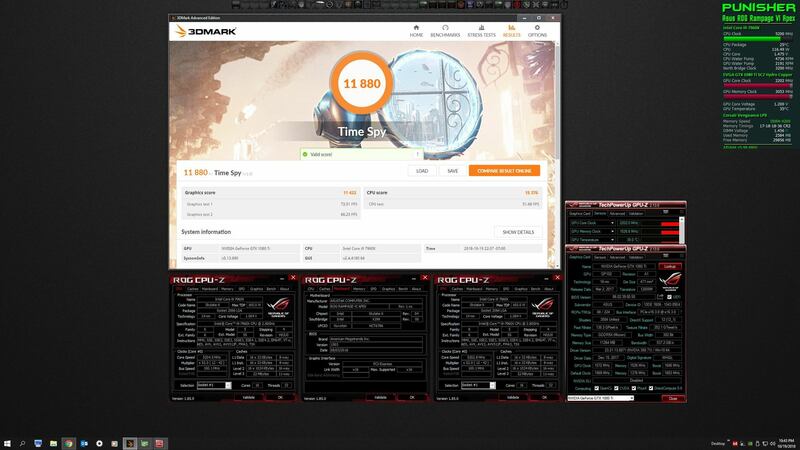 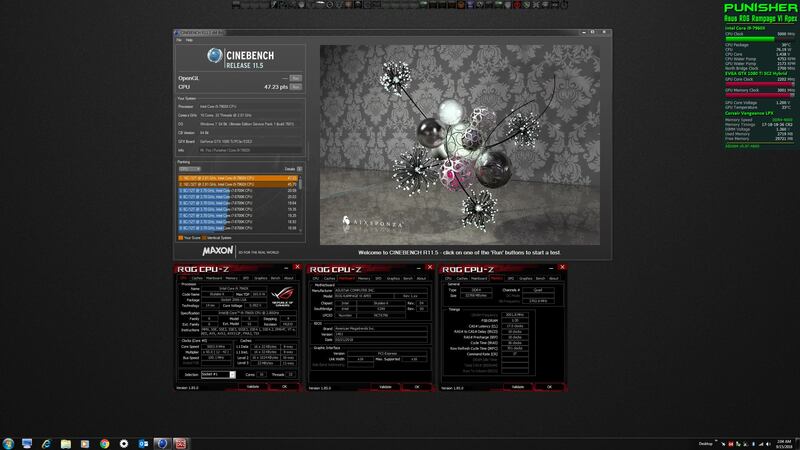 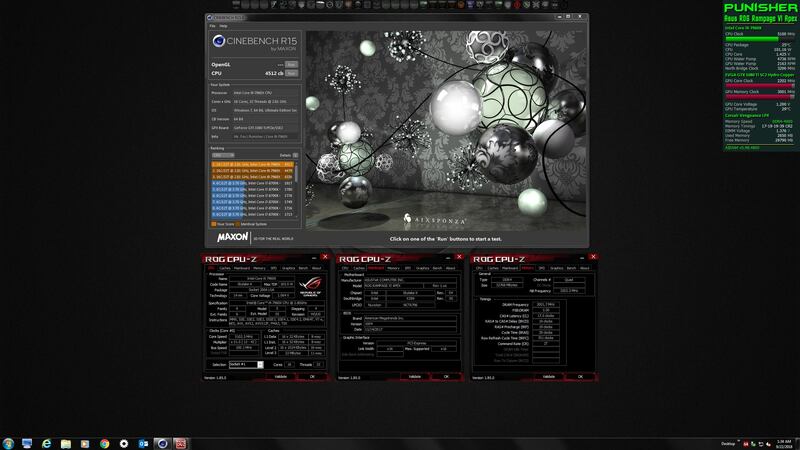 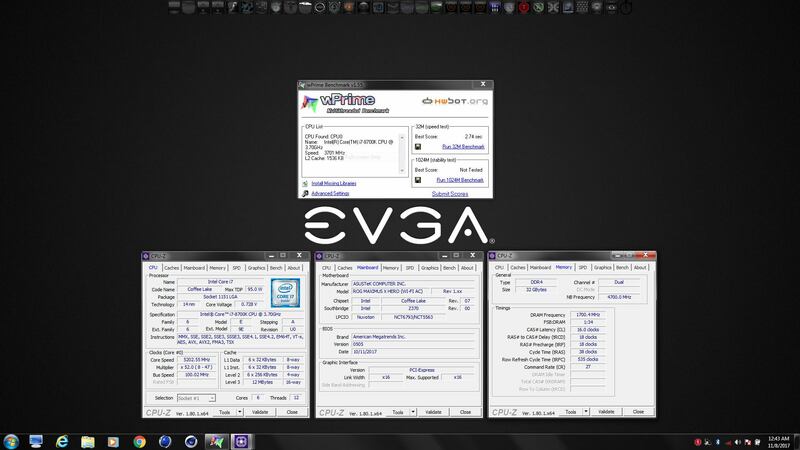 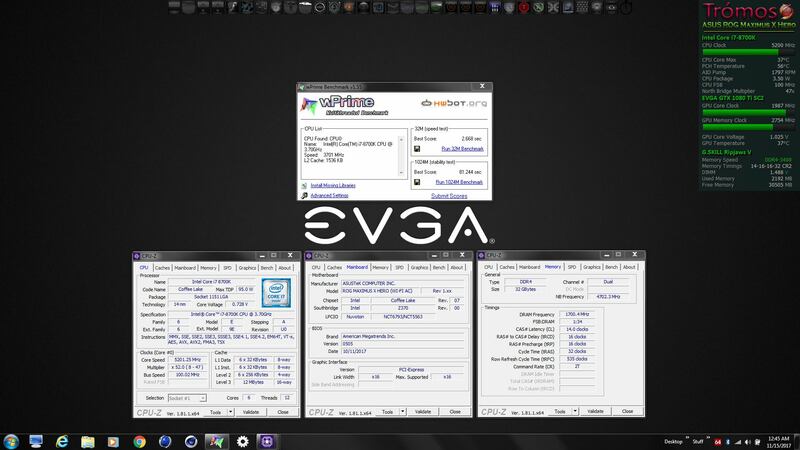 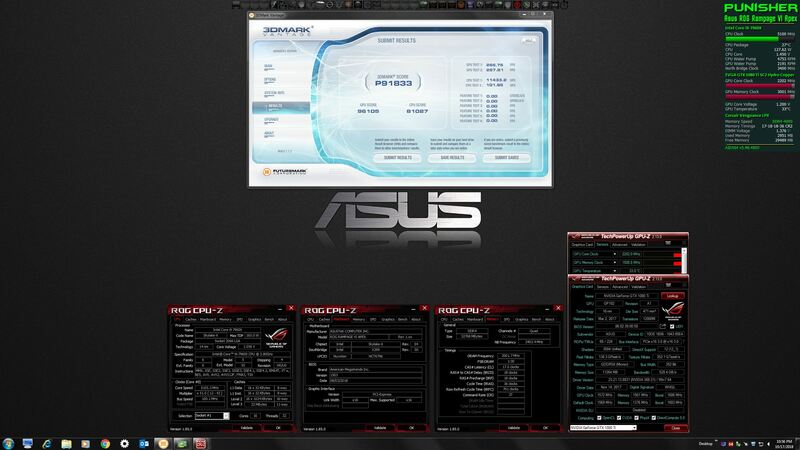 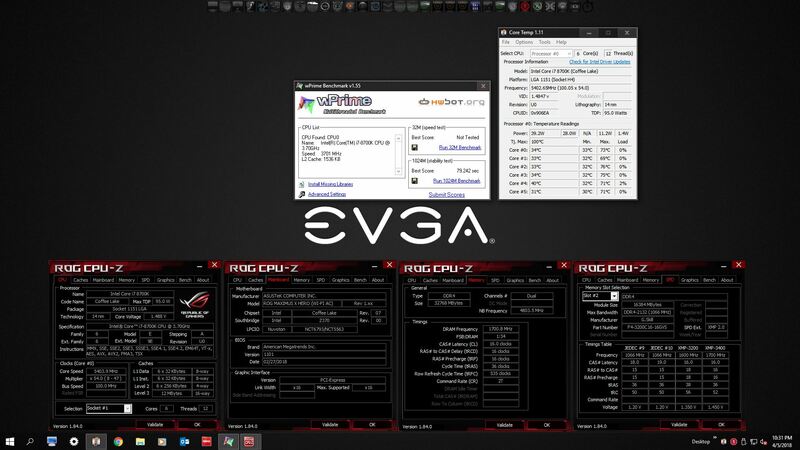 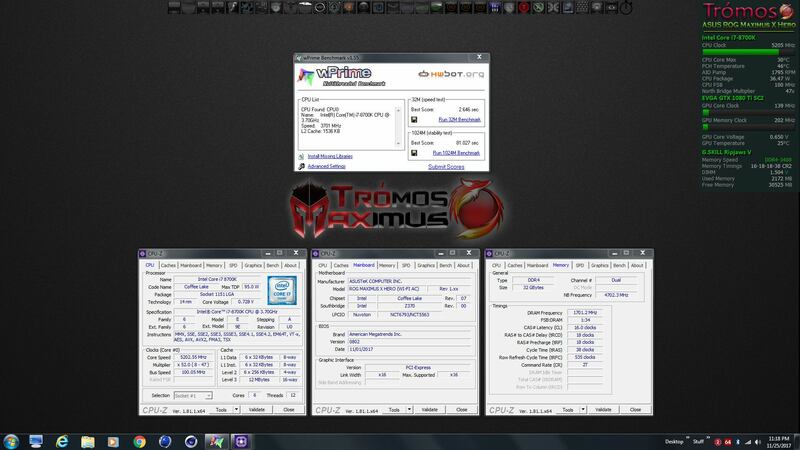 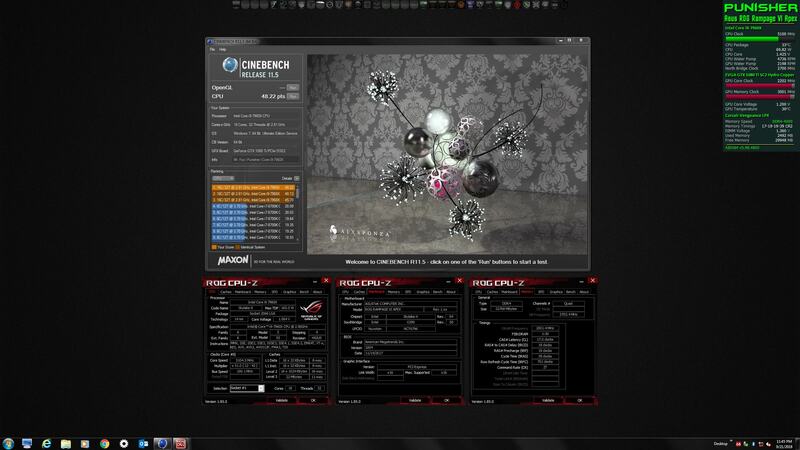 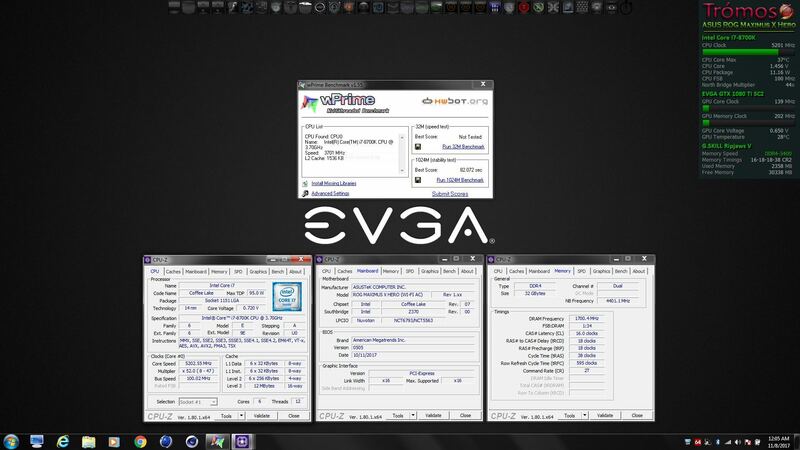 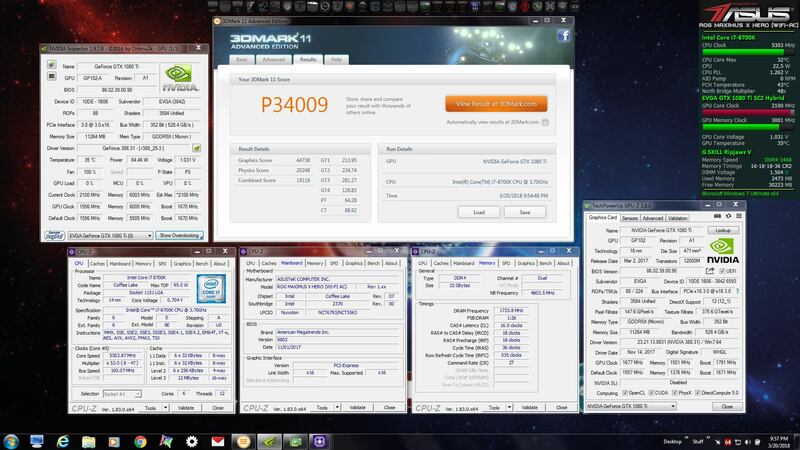 As usual, I expect Brother @Johnksss@iBUYPOWER will be the king in this overclocker's thread as well. 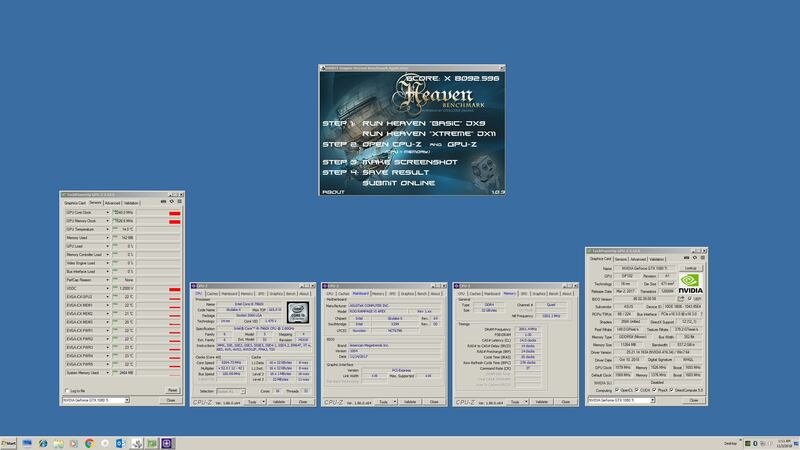 He is a great sensei and mentor to me. 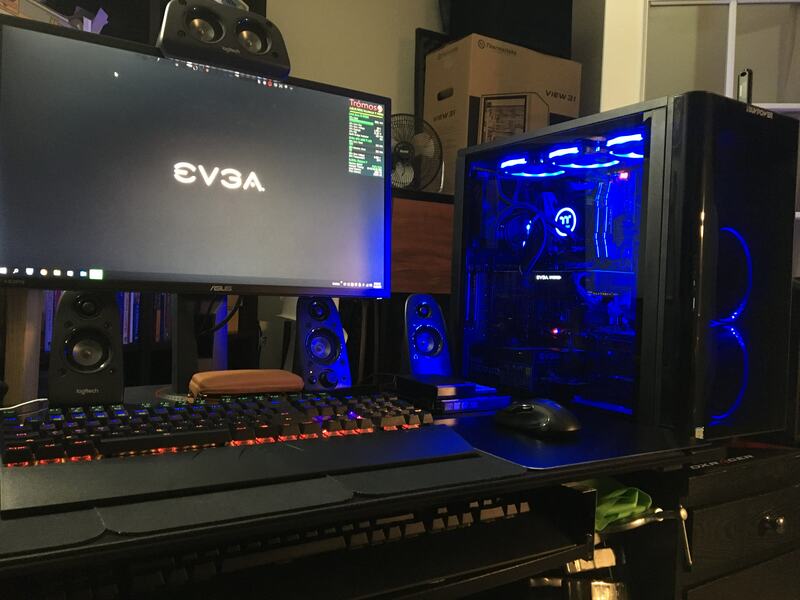 As I stayed within a budget, I suspect there will be others that have beasts that will stomp my humble (but potent) new beast. 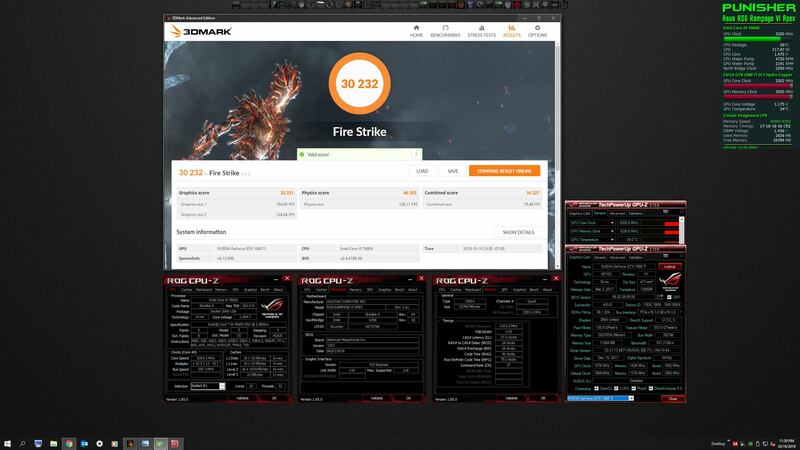 Also feel free to post photos or videos showcasing your monster PC in this thread. 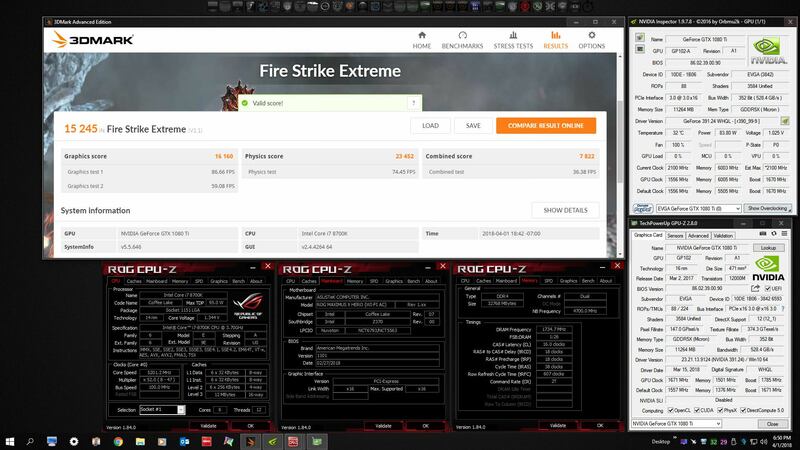 I will include my new system review as an example. 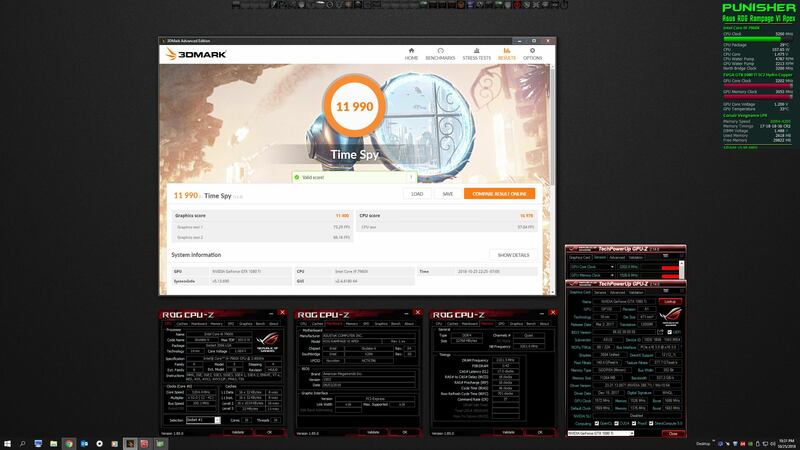 Anyone that is serious about benching that would like to become a contributing member of the @Prema HWBOT benching team, let me know (or @Johnksss) and we will provide you with a special password to join Team PremaMod. 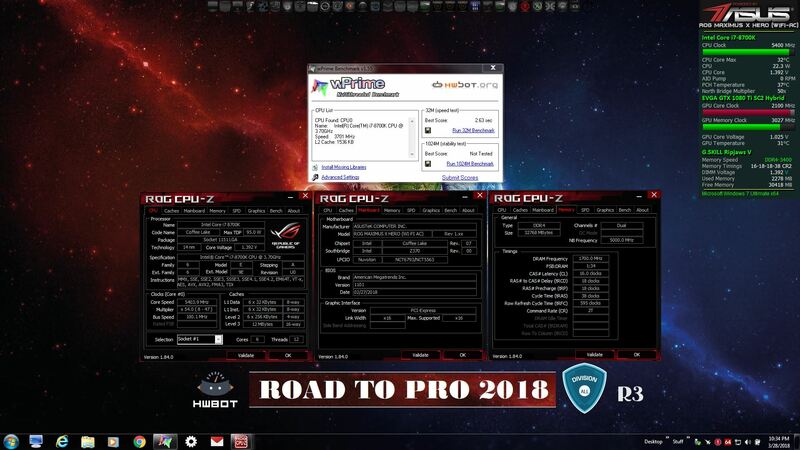 I have PM turned off here, but you can message me or add a message to my profile wall at HWBOT or John at HWBOT and mention your forum name here. 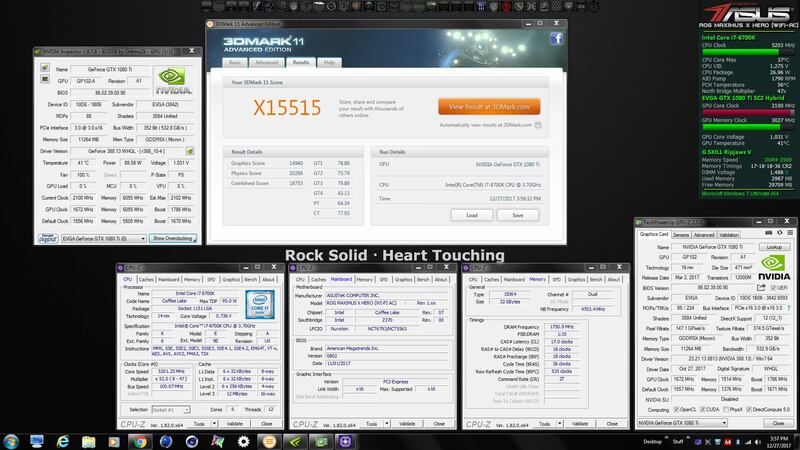 Johnksss, makina69, Raiderman and 25 others like this. 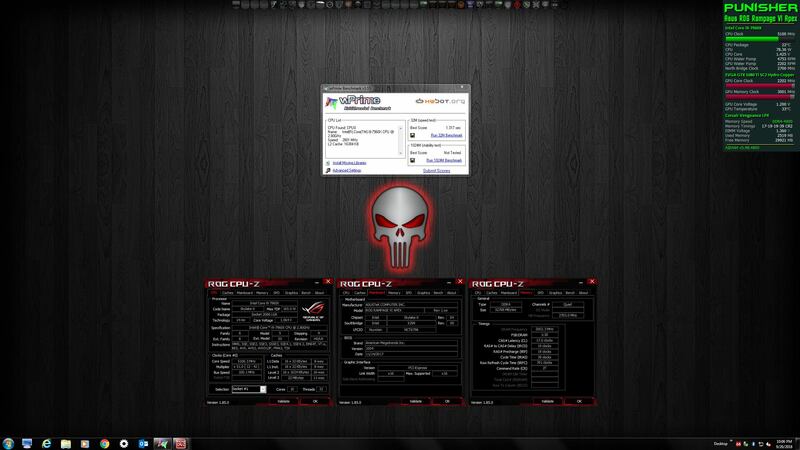 Huniken, Prema, KY_BULLET and 4 others like this. 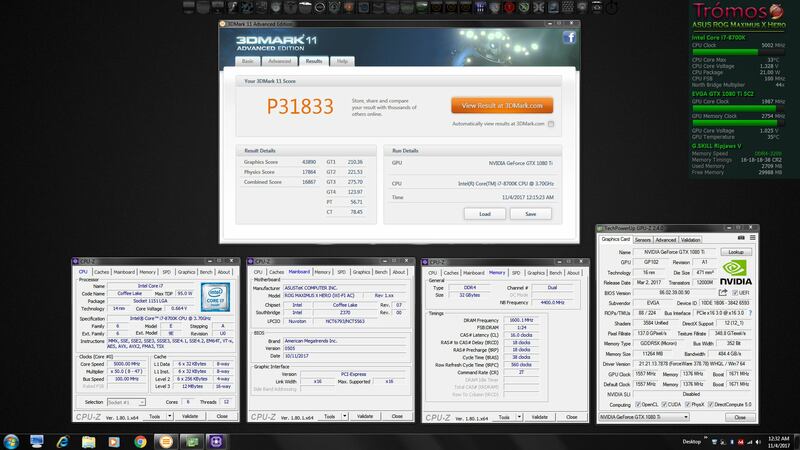 makina69, Vistar Shook, Prema and 11 others like this. 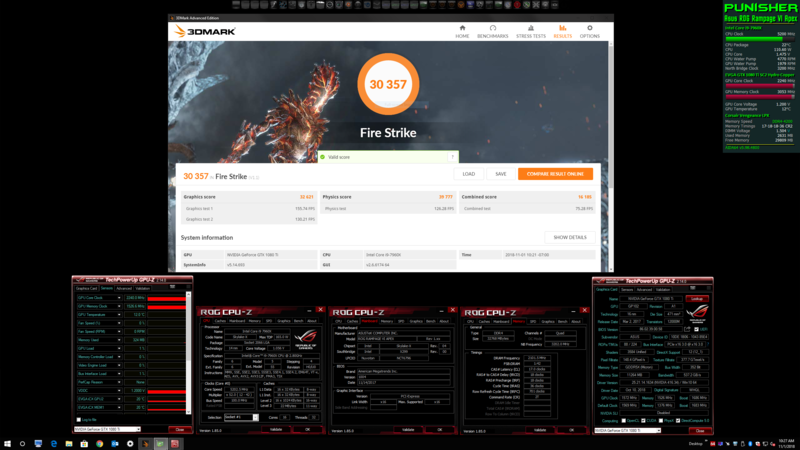 @Rage Set @ajc9988 @Papusan @Prema @j95 @Phoenix @Stress Tech @bloodhawk @aaronne @Huniken @sicily428 @Dr. AMK @skyFox90 @tanzmeister - I'm sure I missed someone. 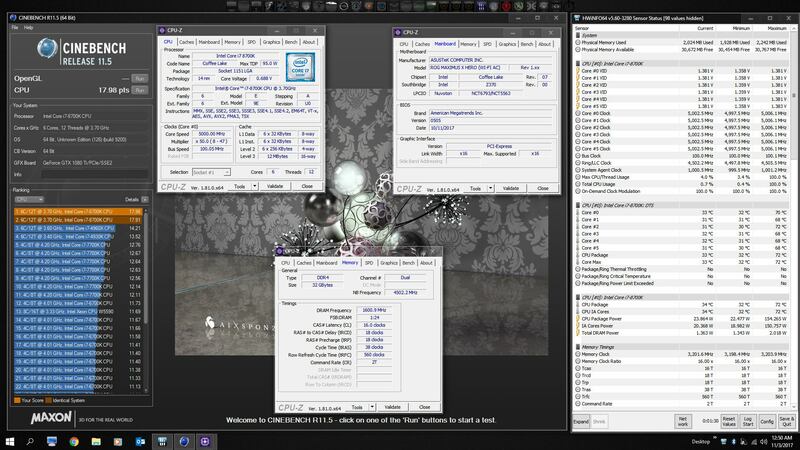 makina69, infex, KY_BULLET and 9 others like this. 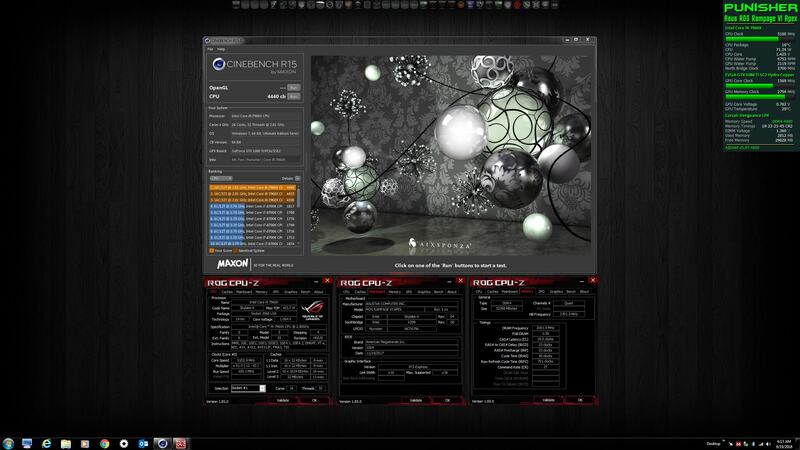 infex, Vasudev, Stress Tech and 2 others like this. 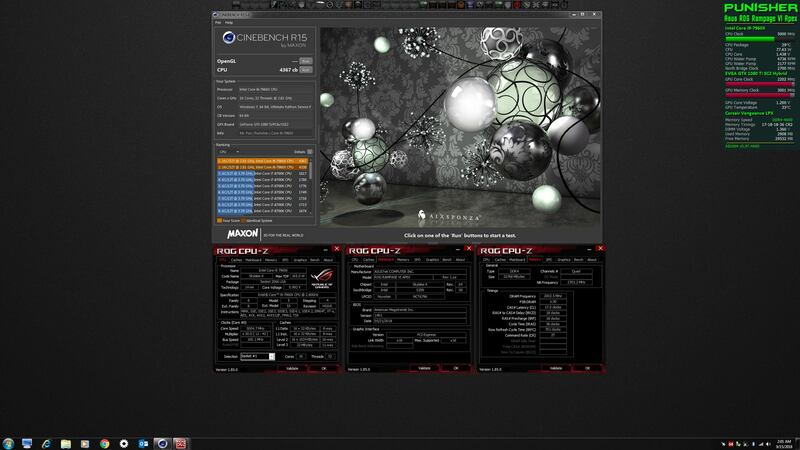 Stress Tech, Papusan, AHMED KARAM and 2 others like this. 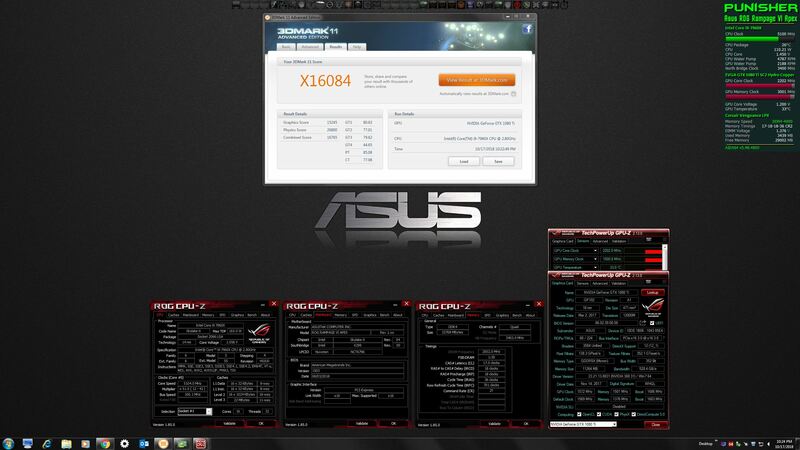 Vasudev, Stress Tech, Papusan and 4 others like this. 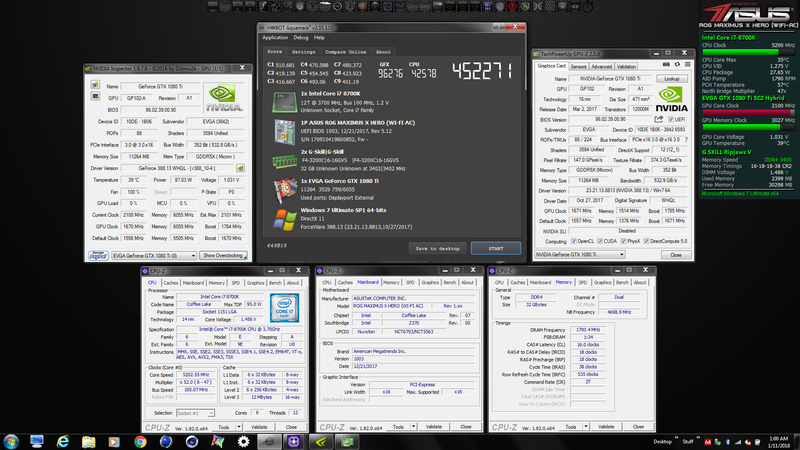 I'll take a newer one soon. 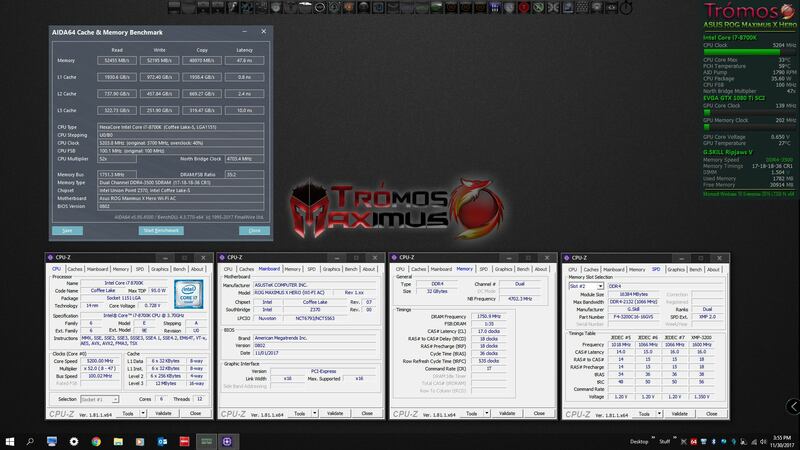 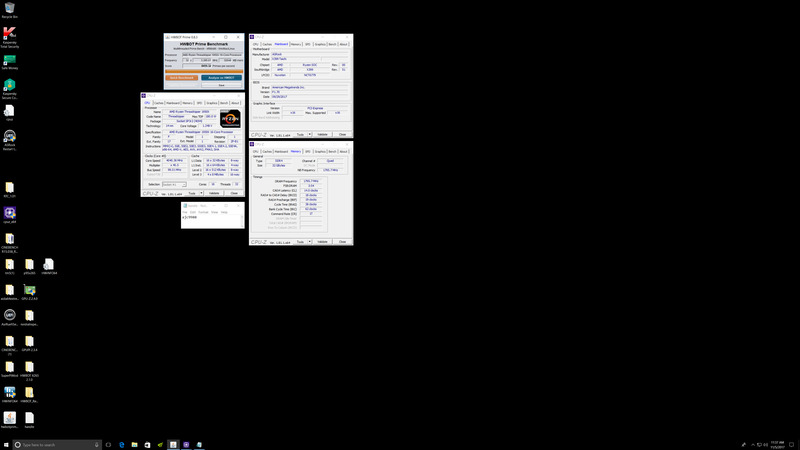 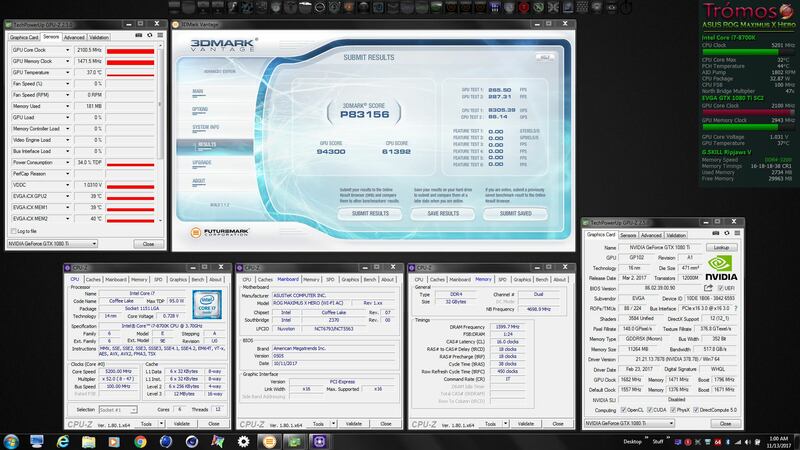 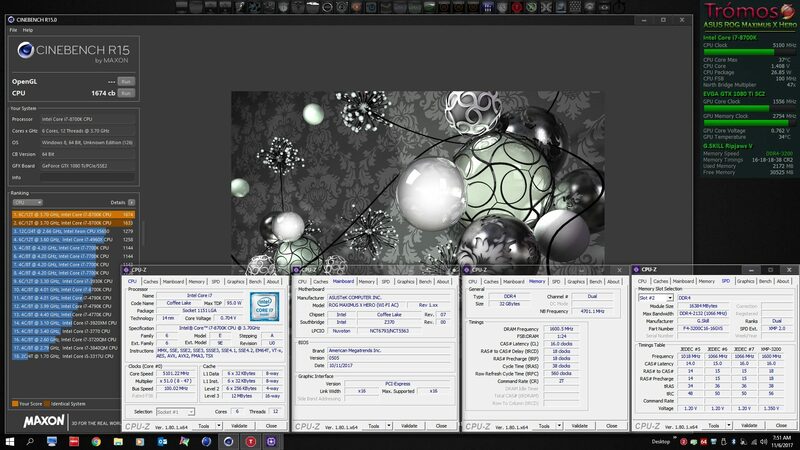 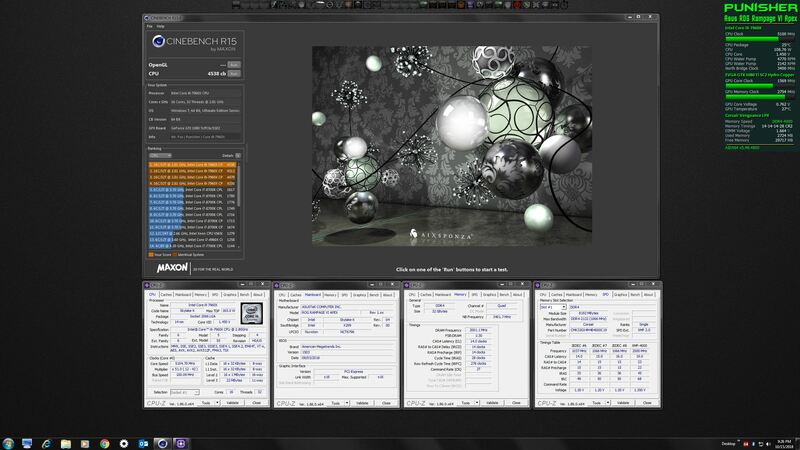 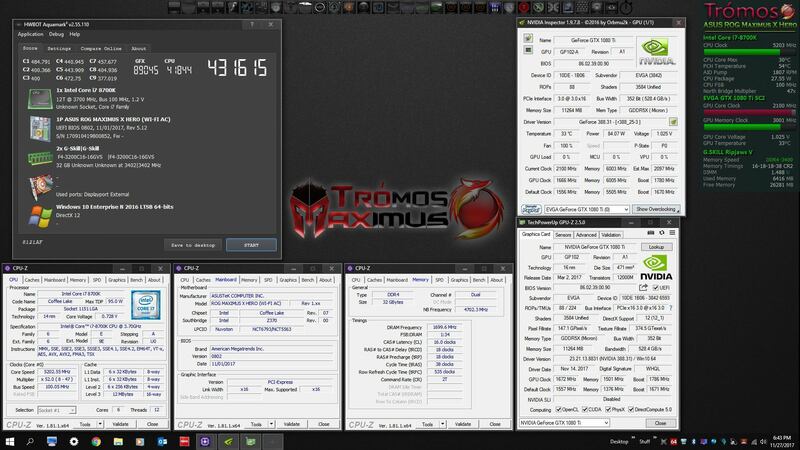 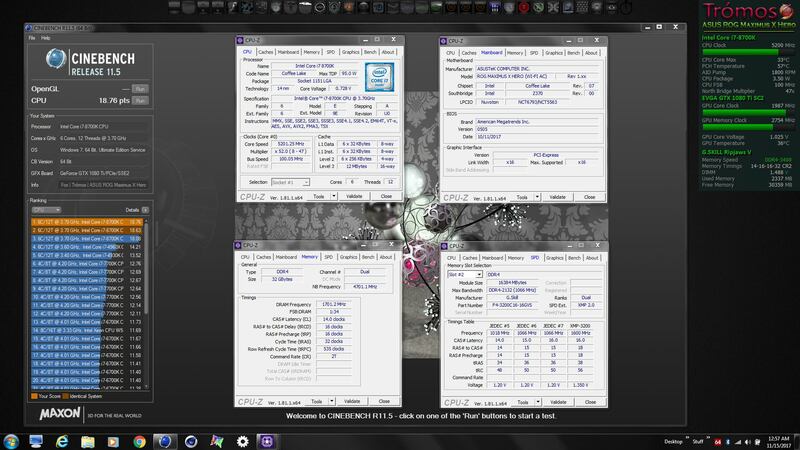 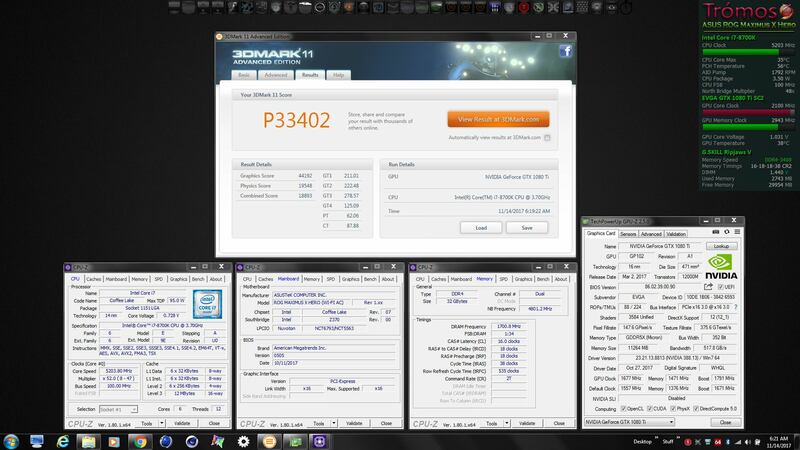 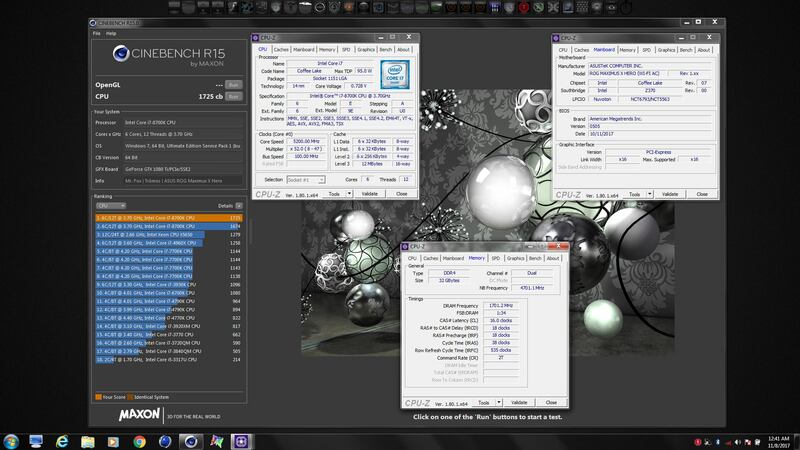 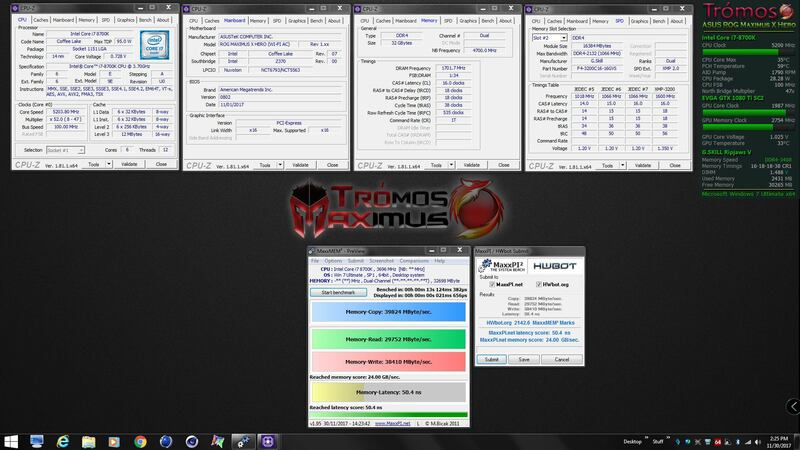 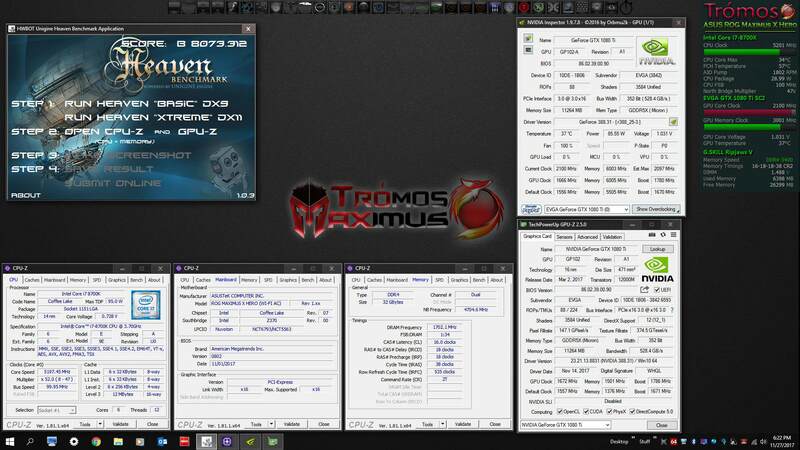 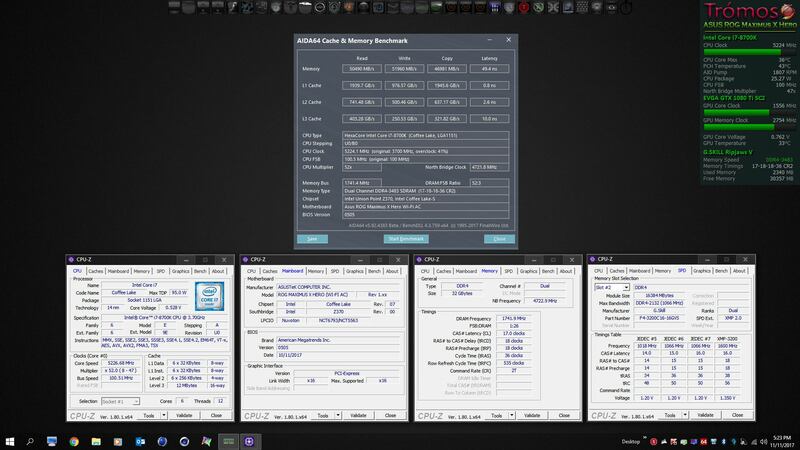 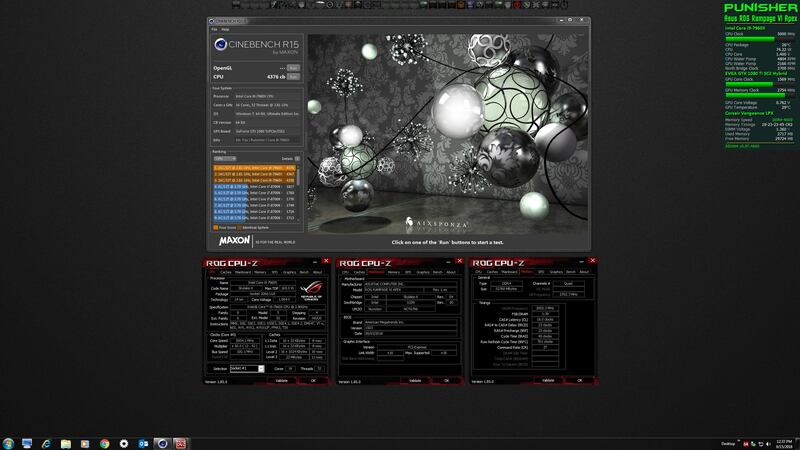 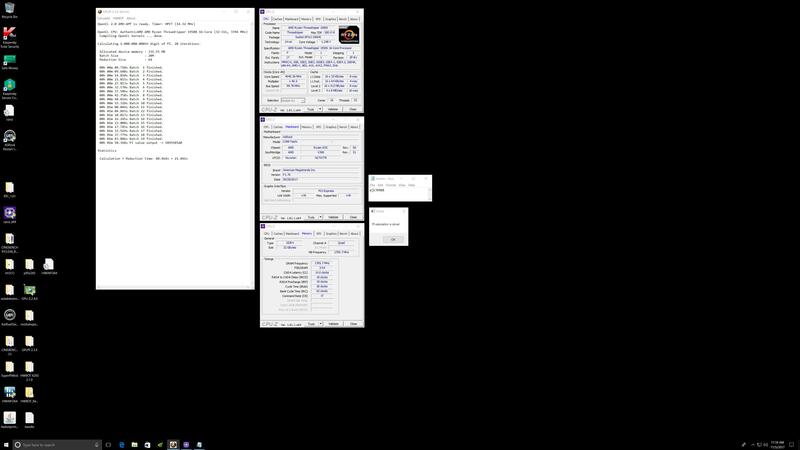 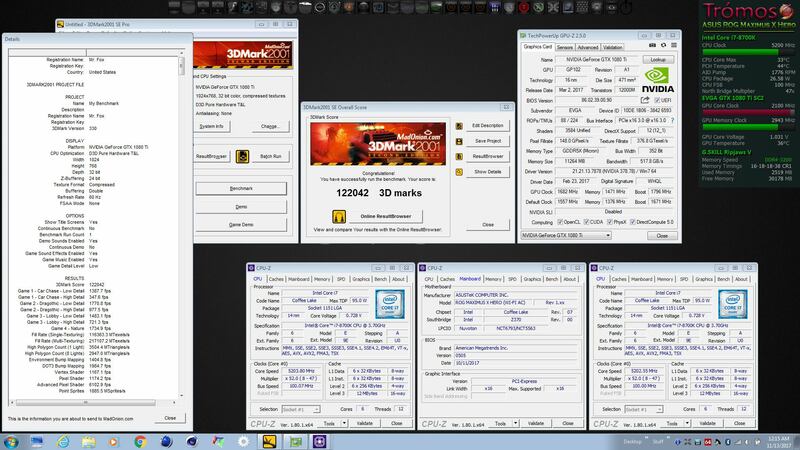 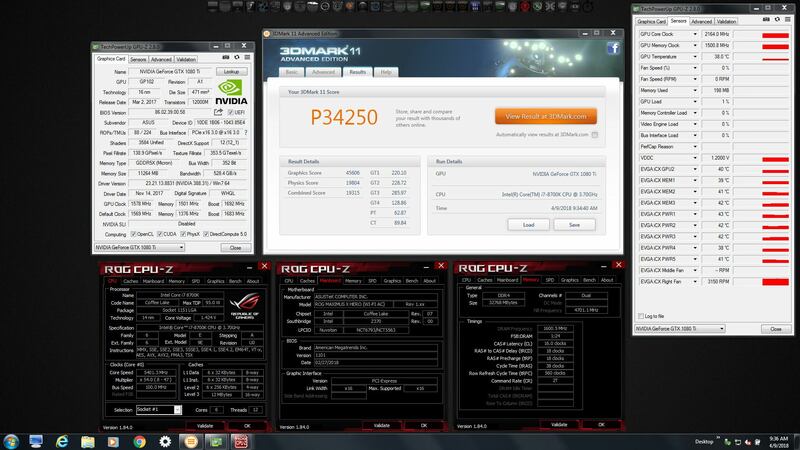 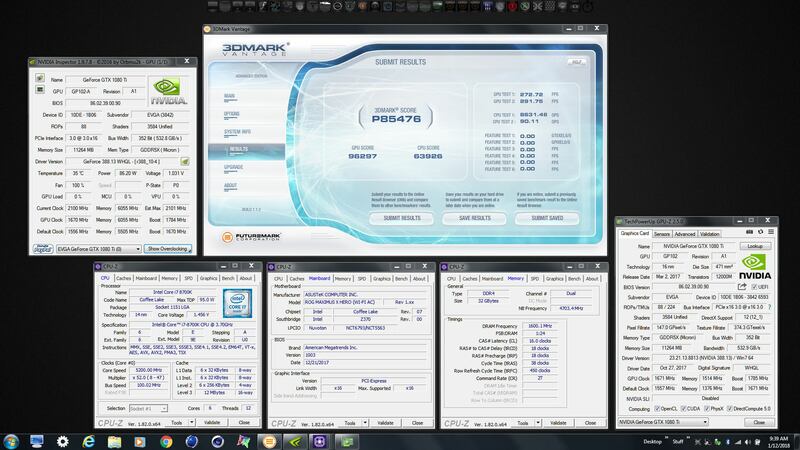 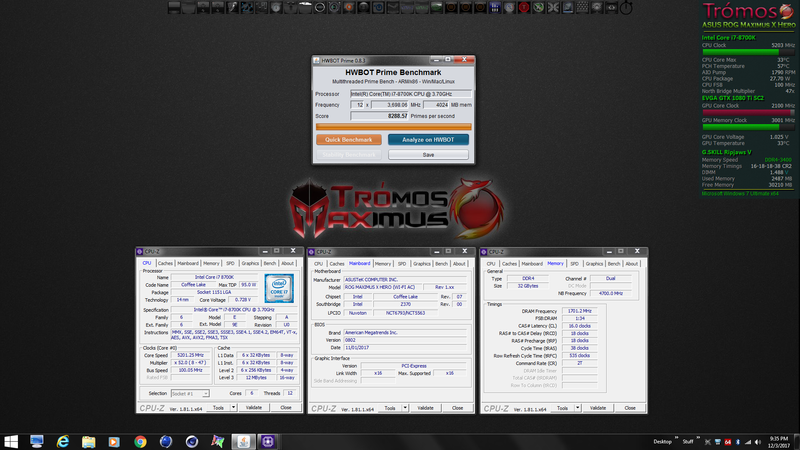 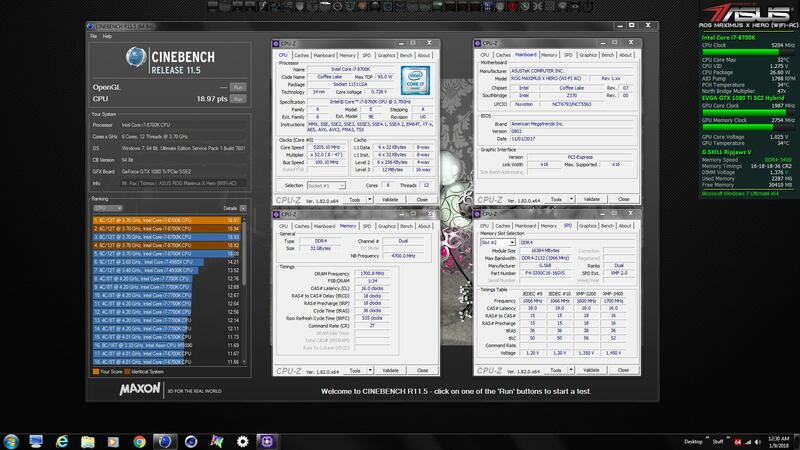 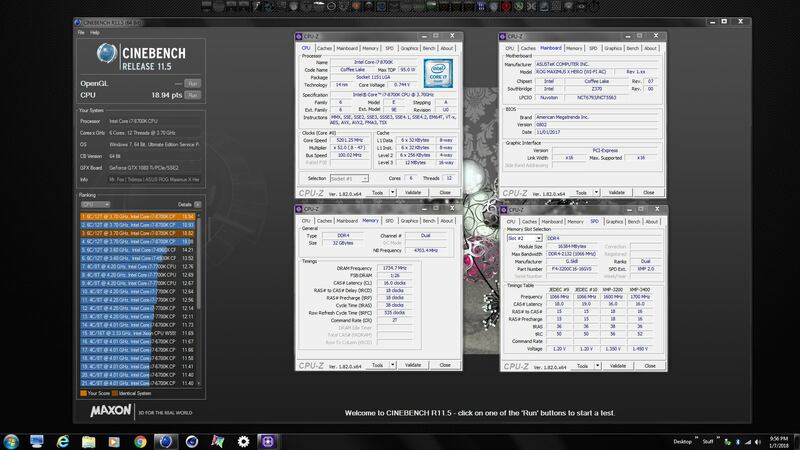 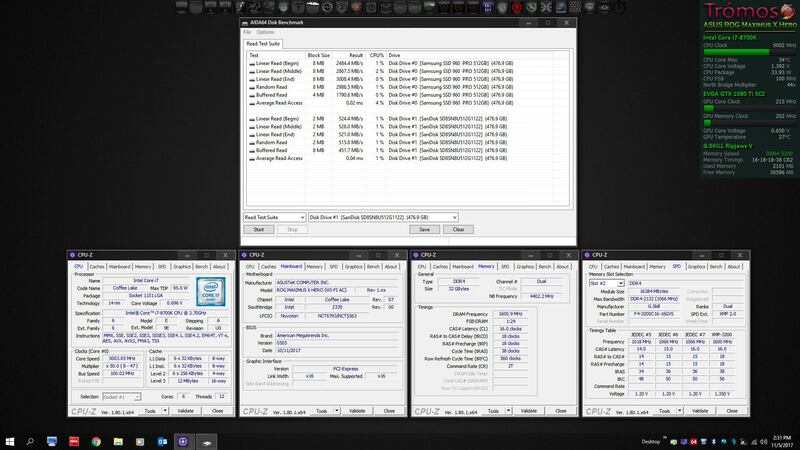 Today I went through and setup 4.05GHz (most of the above benches) and redid the ram kind of quick. 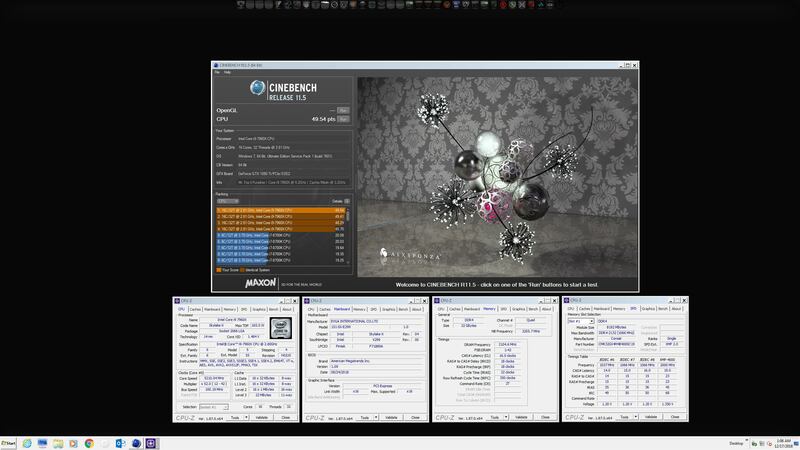 I'm considering trying 3466, but shooting for CL12 on it. 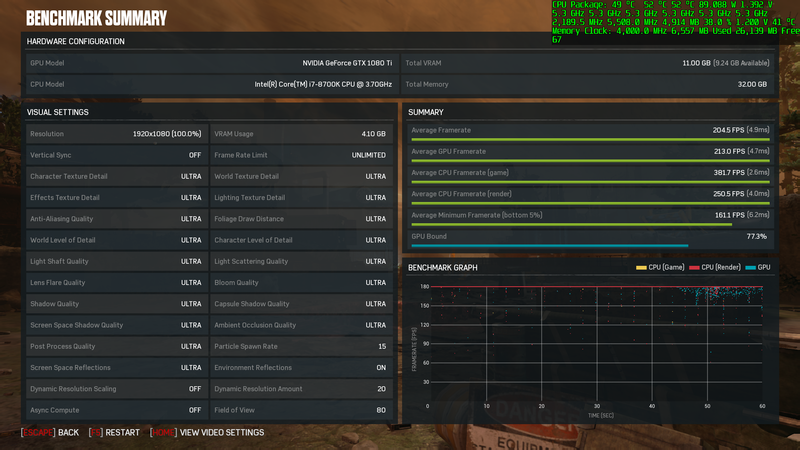 I think that would improve latency even more. 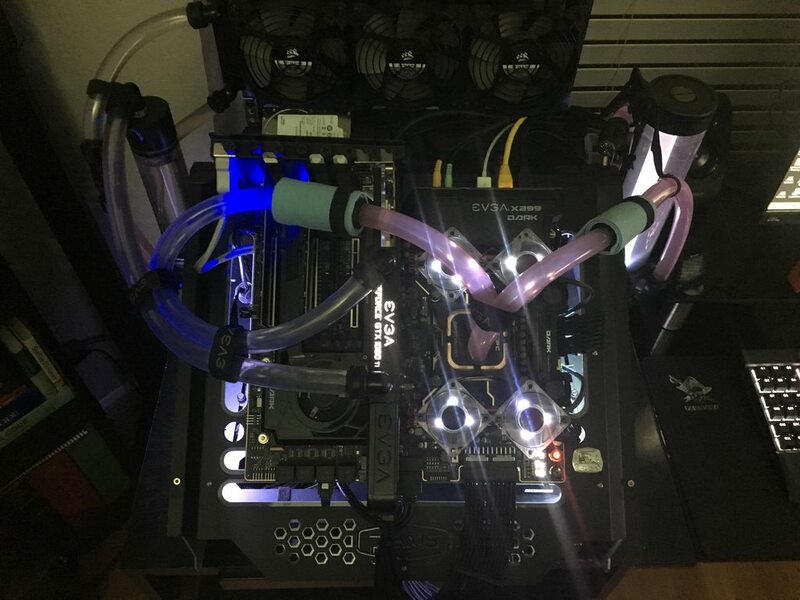 But that is future plans, as well as needing to reseat the waterblock (wish I knew that before I assembled, talk about a pain in the hindside). 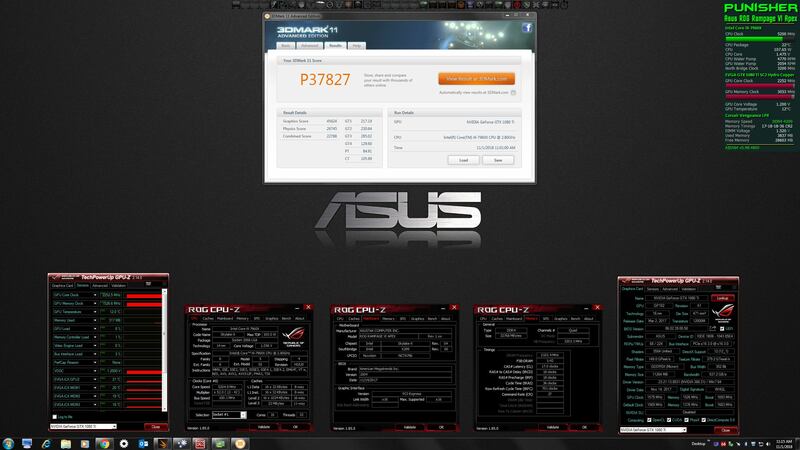 Vasudev, Stress Tech, Papusan and 2 others like this. 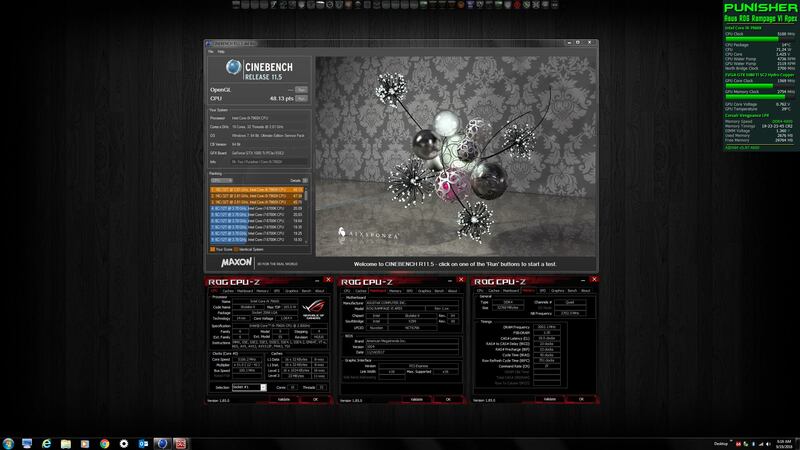 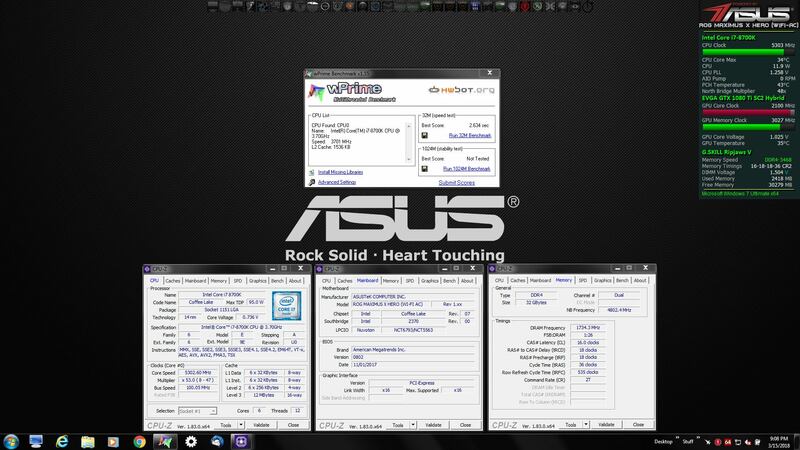 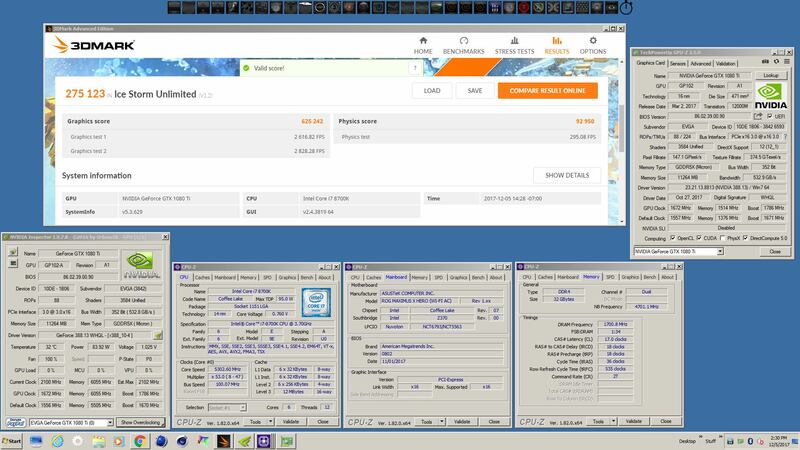 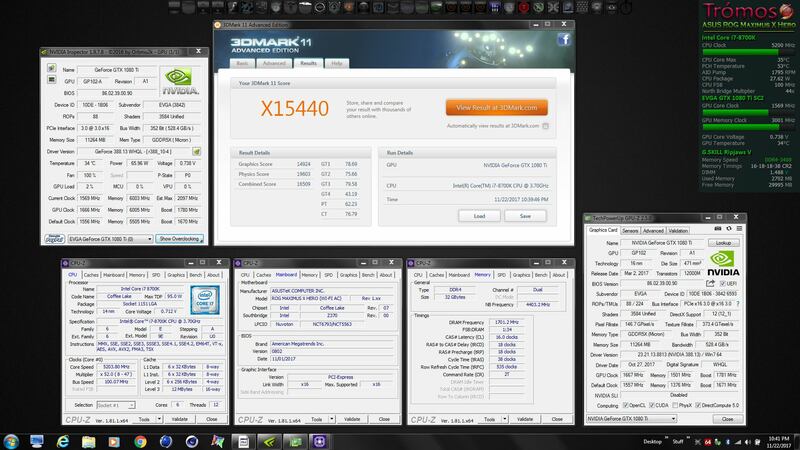 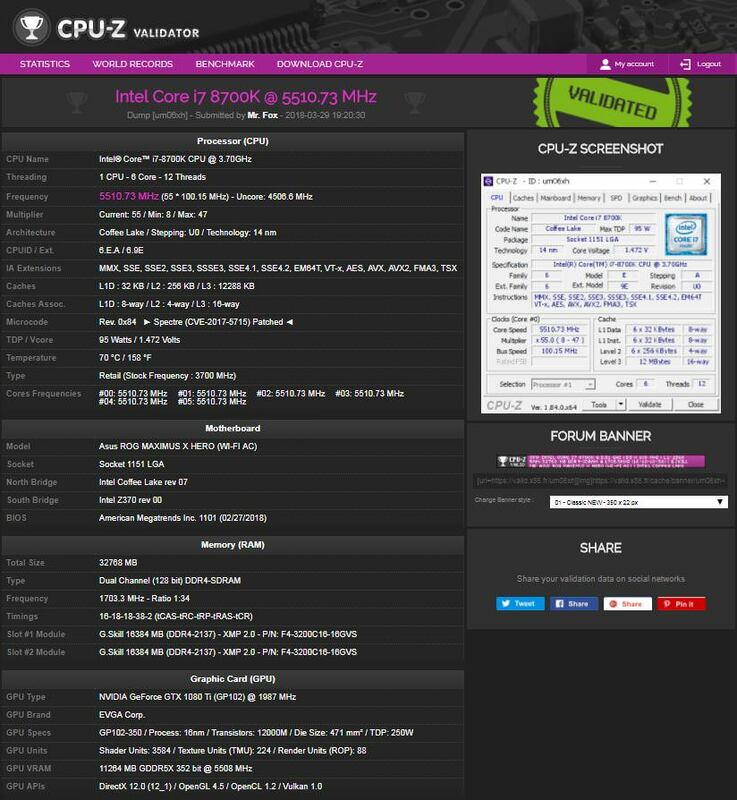 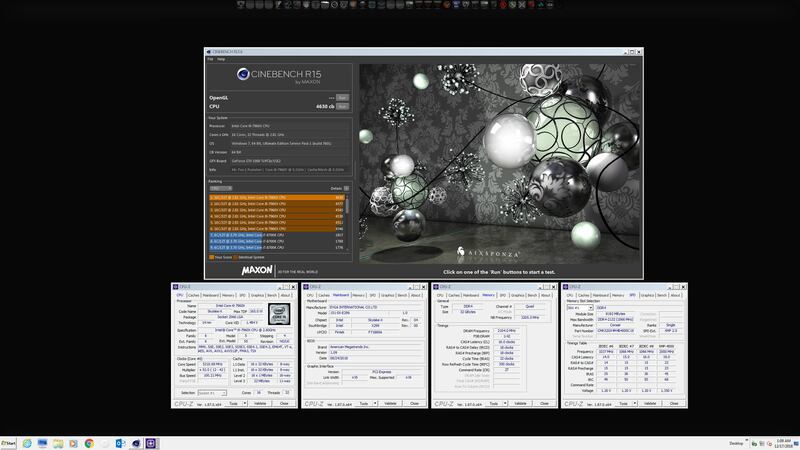 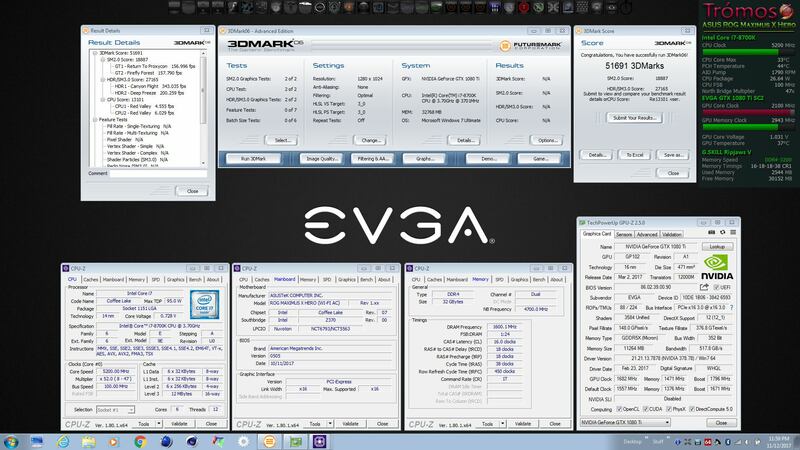 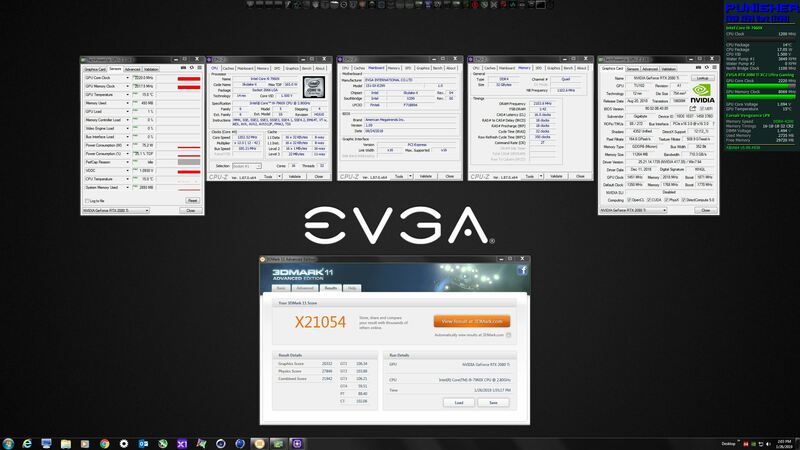 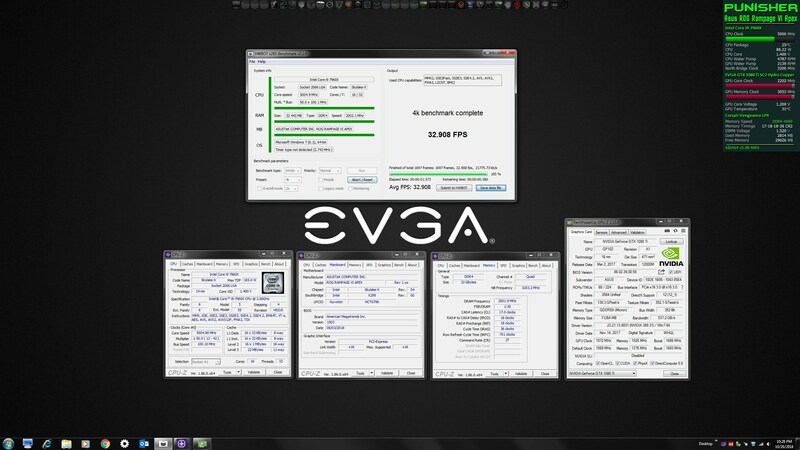 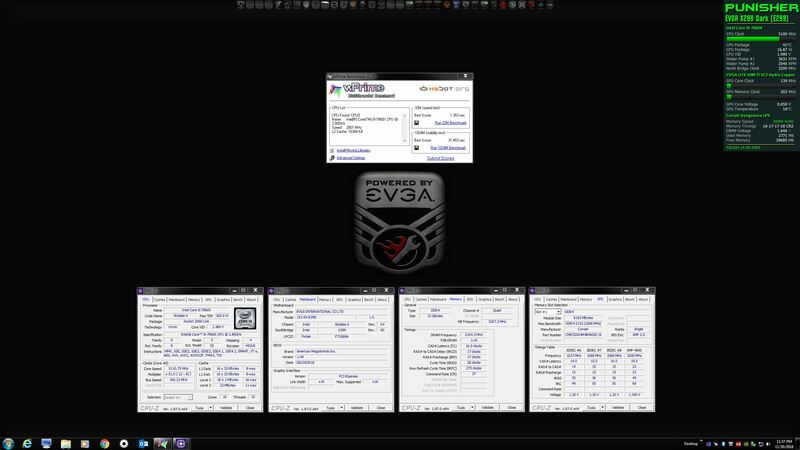 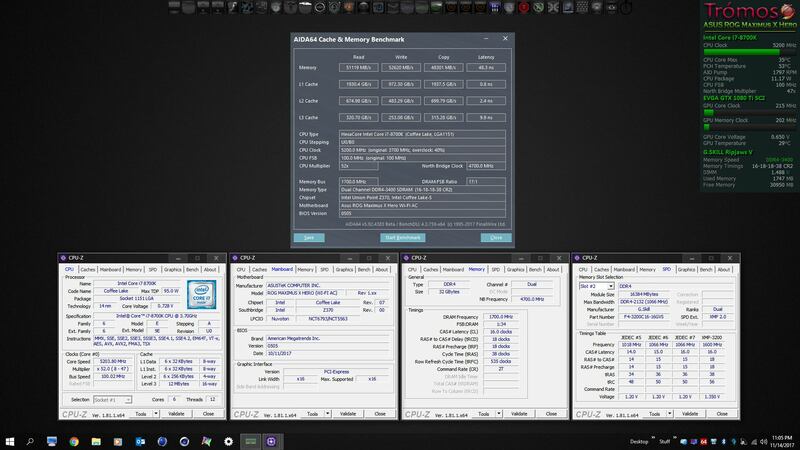 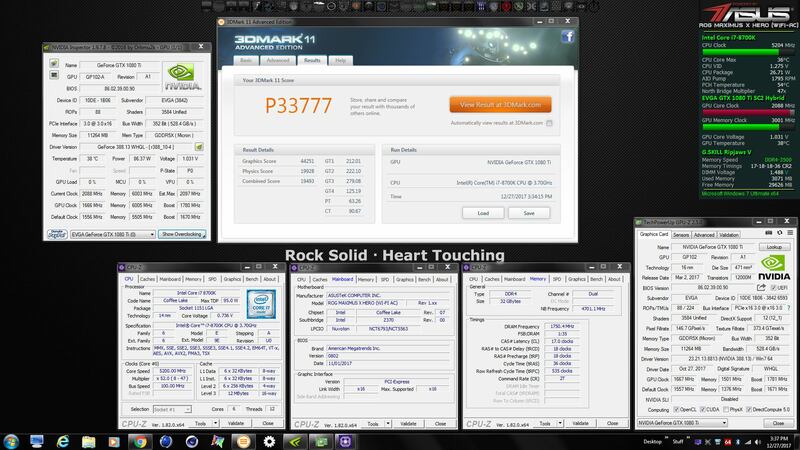 Damn @ajc9988 makes me wanna actually go through with that 16-core desktop build I was thinking about. 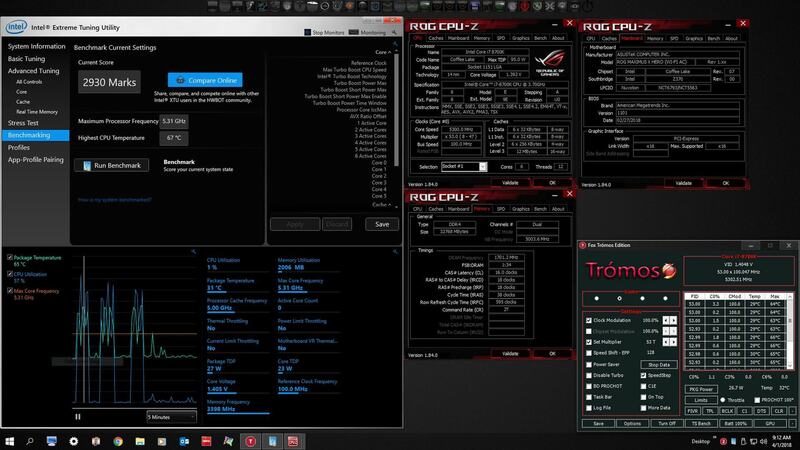 Here's the thing, don't get it unless you have a use for it. 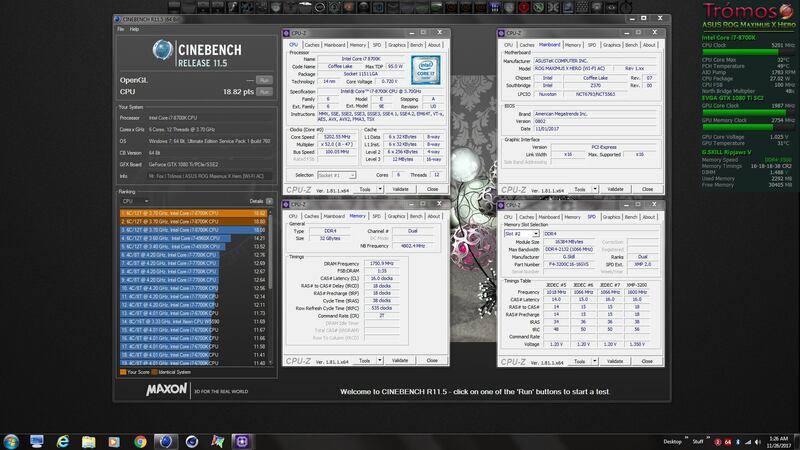 If you are doing it for just benching, cool. 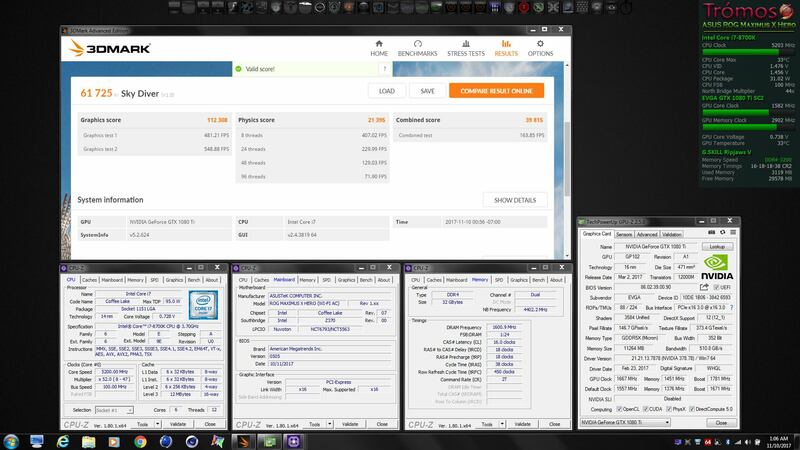 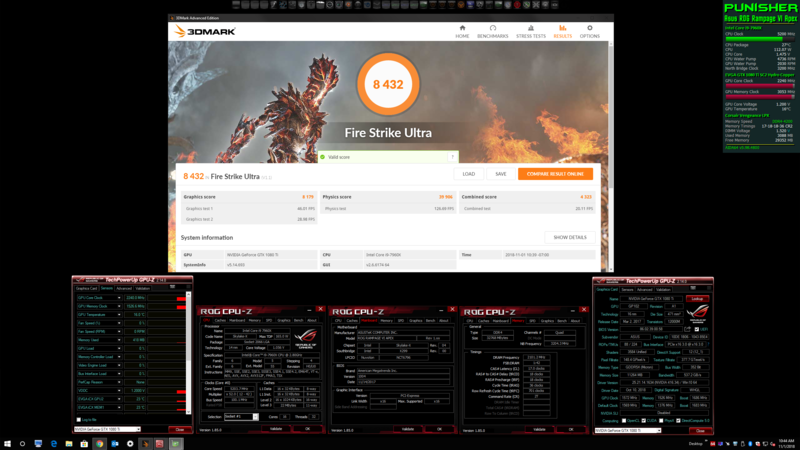 If you plan on taking up a hobby, like video cpu encoding or transcoding, doing multiple streams while gaming, building a home server, etc., then do it. 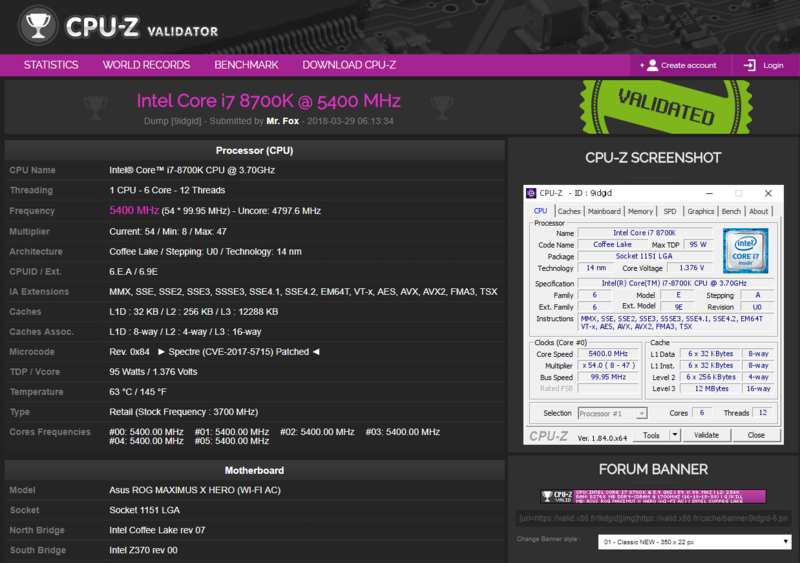 I will mention, Intel wins on performance (except on very specific tasks), but has the Intel price premium. 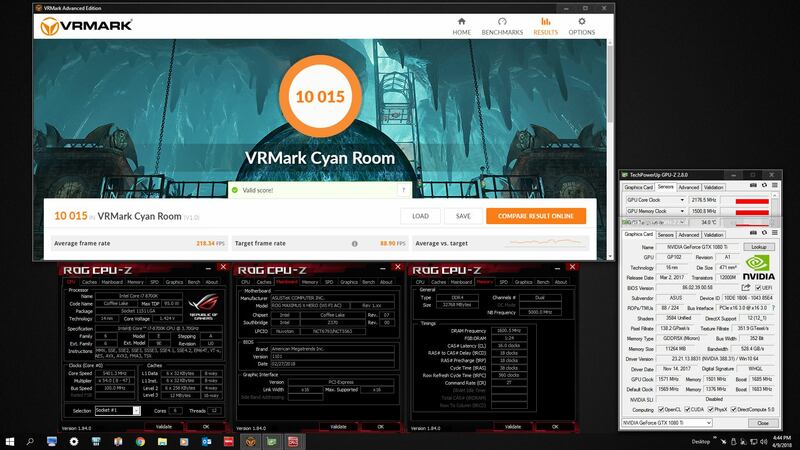 If you can wait until Zen 2 vs. Ice Lake, you will get much more bang for the buck (Q4 2018-1H 2019, AMD 7nm versus Intel 10nm+ processes, DDR5 potentially as that is supposed to be published summer of 2018, PCIe 4.0 (PCIe 5.0 is supposed to be published in Q1 or Q2 2019), etc.). 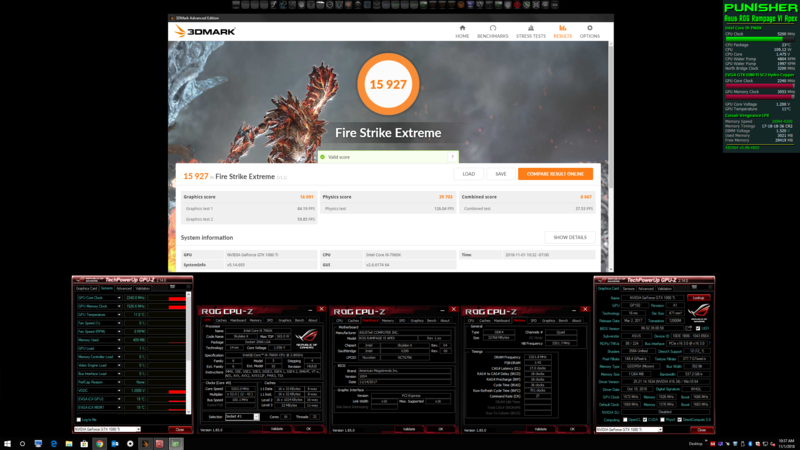 ole!! 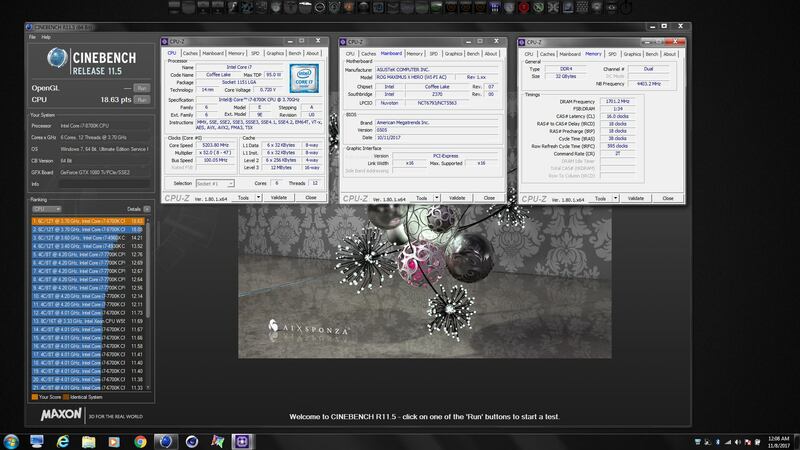 !, Stress Tech, TBoneSan and 4 others like this.